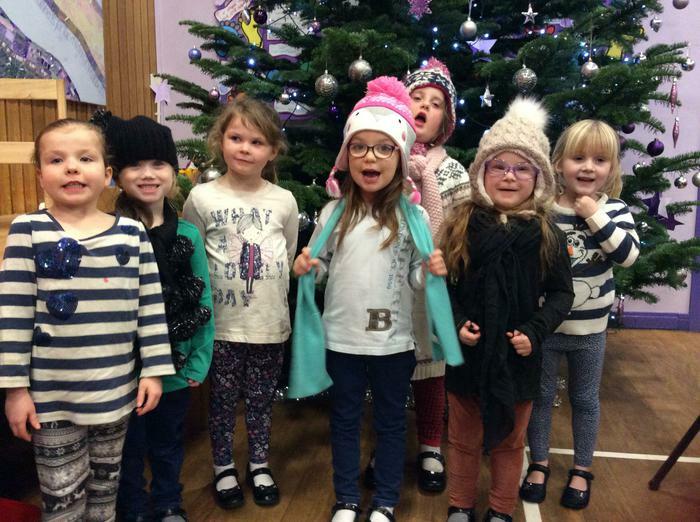 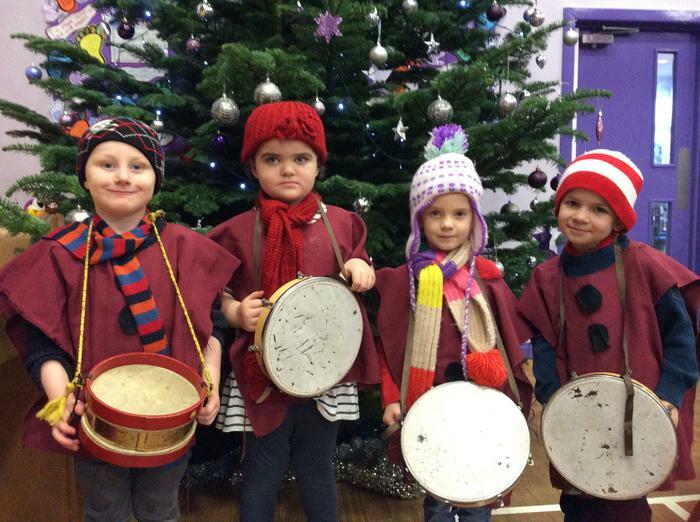 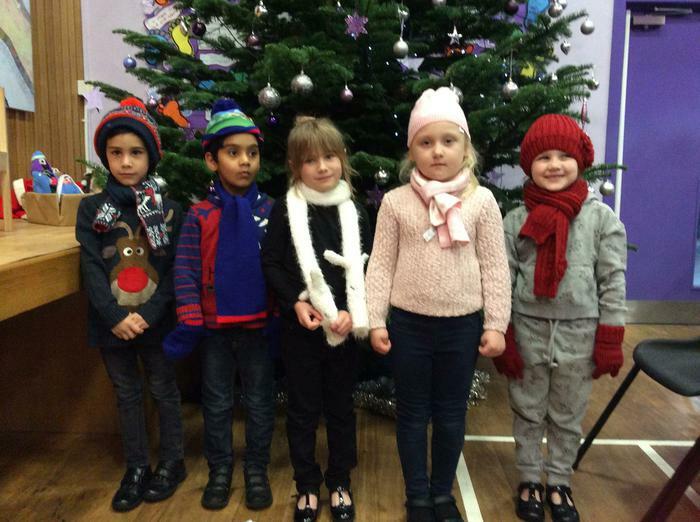 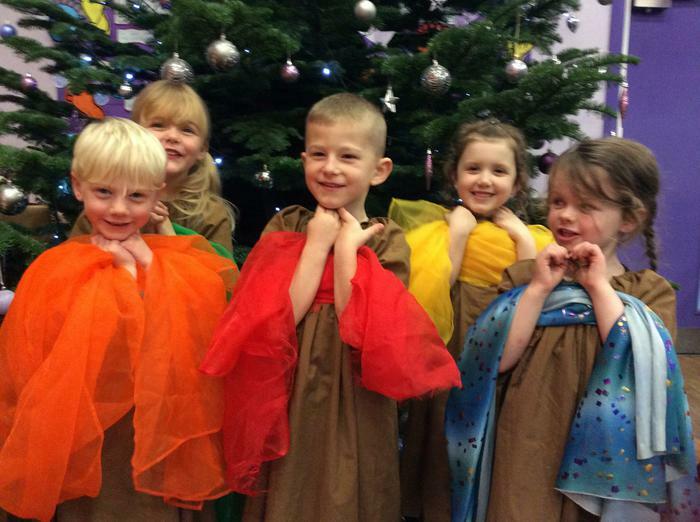 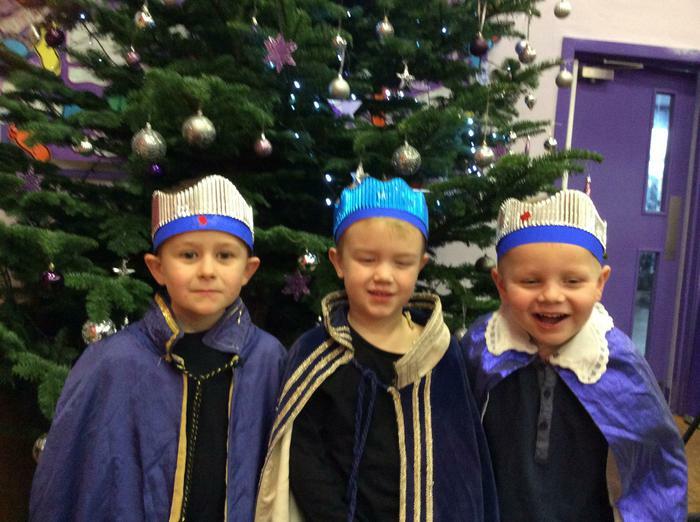 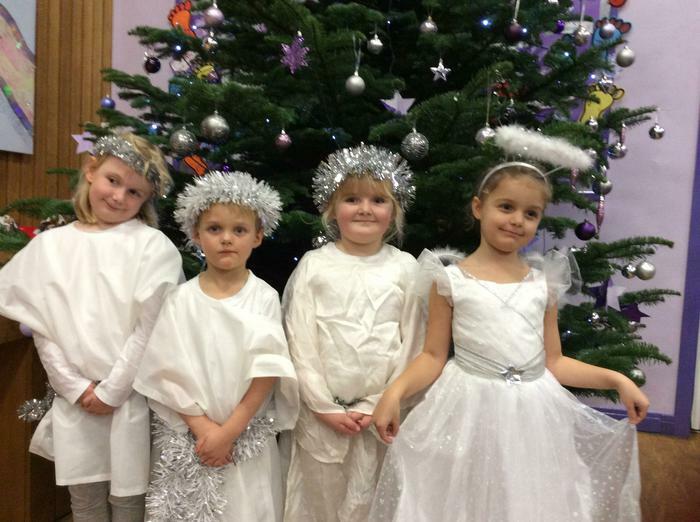 A brilliant Christmas performance of the Bossy King, Well done KS1! 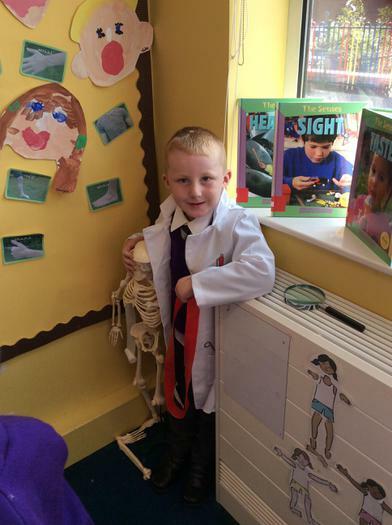 Kaleb received his letter from Father Christmas, have you got yours yet? 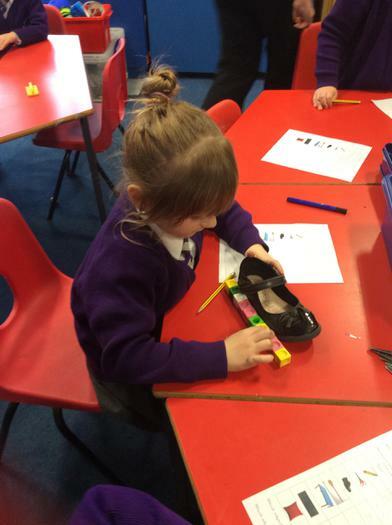 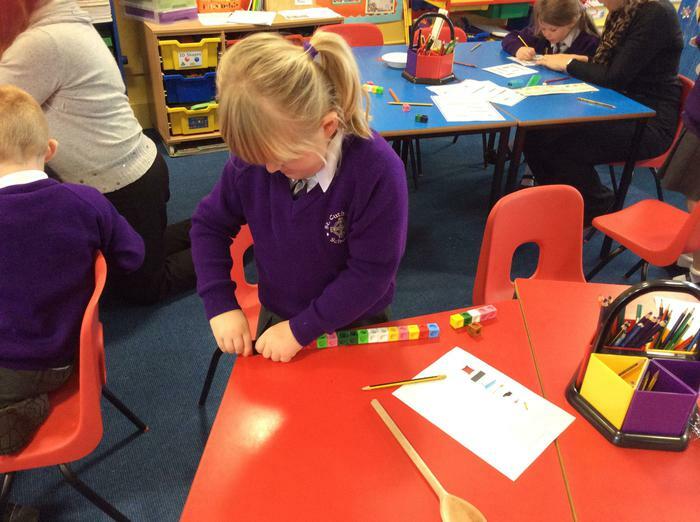 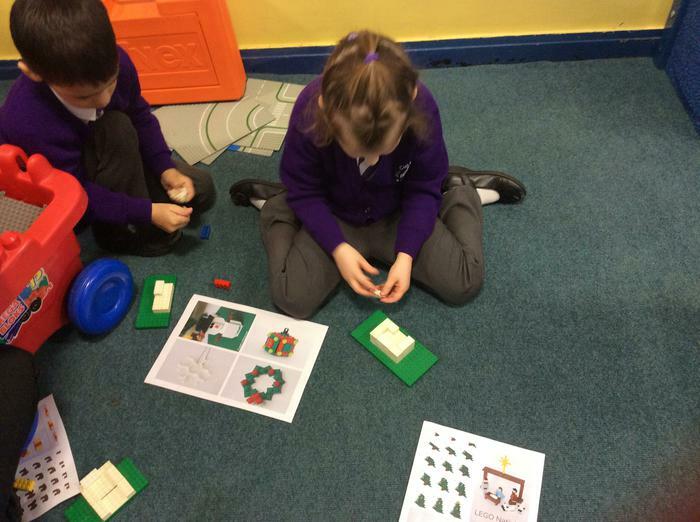 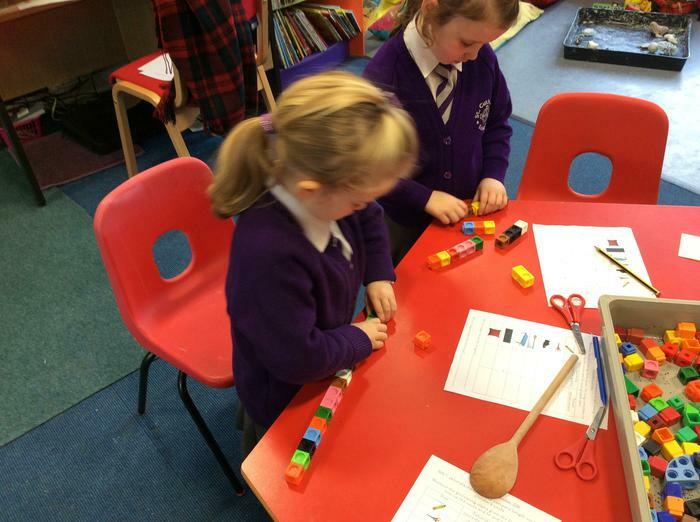 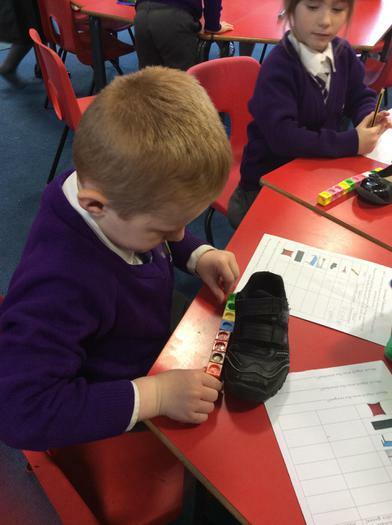 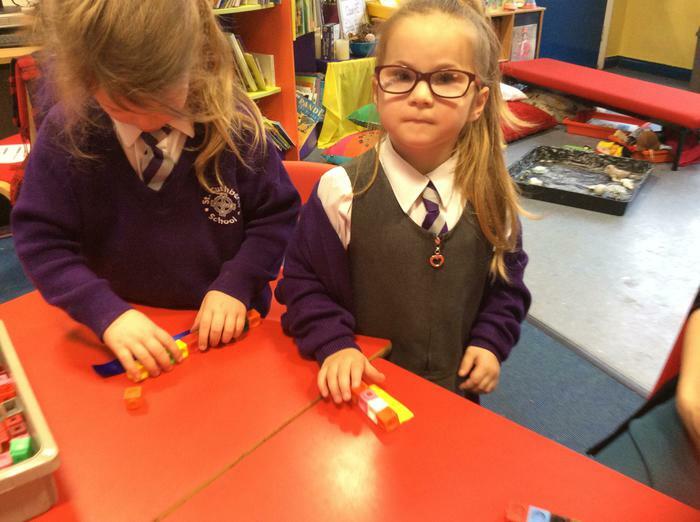 Christmas themed challenges and measuring with non-standard units. 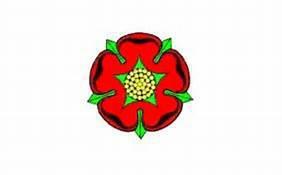 Today we have had lots of fun, we have listened to Lancashire music, eaten Lancashire hotpot or potato pie and yummy Lancashire lemon cake! 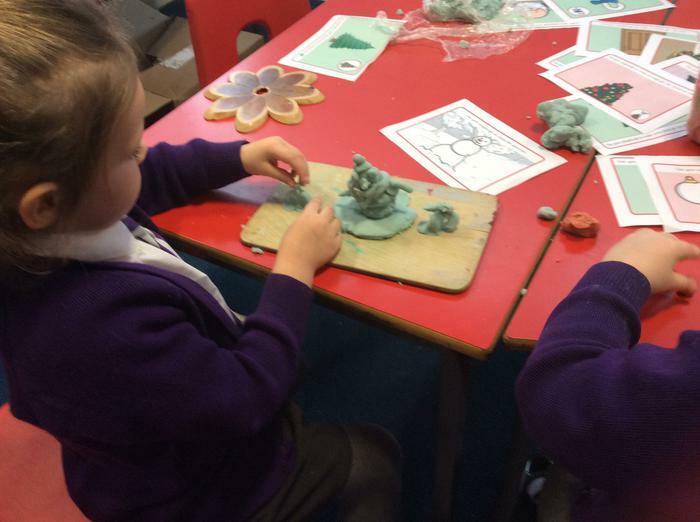 Best of all we spent the morning with some parents designing Pendle witch hats, decorating our own Tudor rose, making 3D witches and labeling Pendle witch pictures. 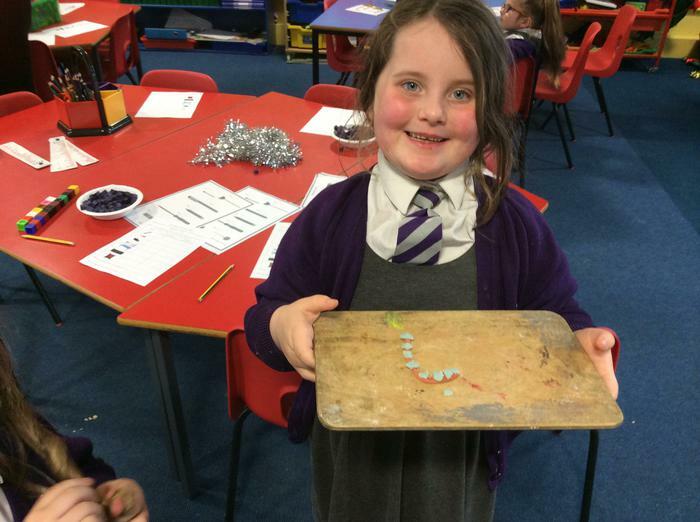 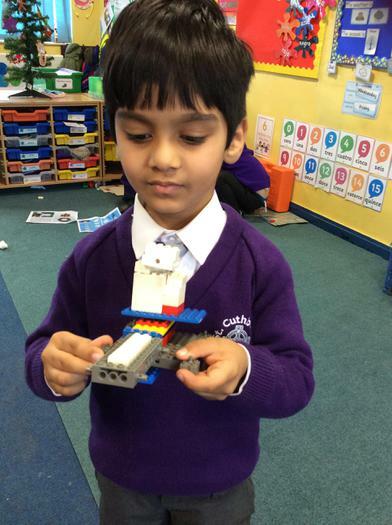 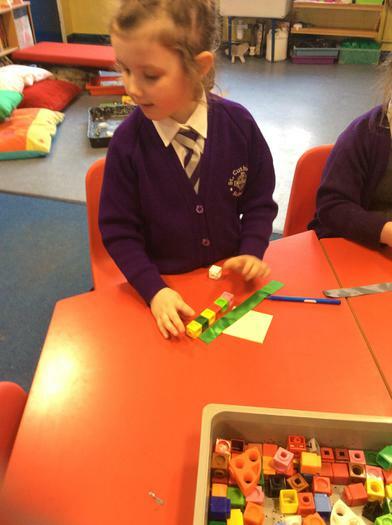 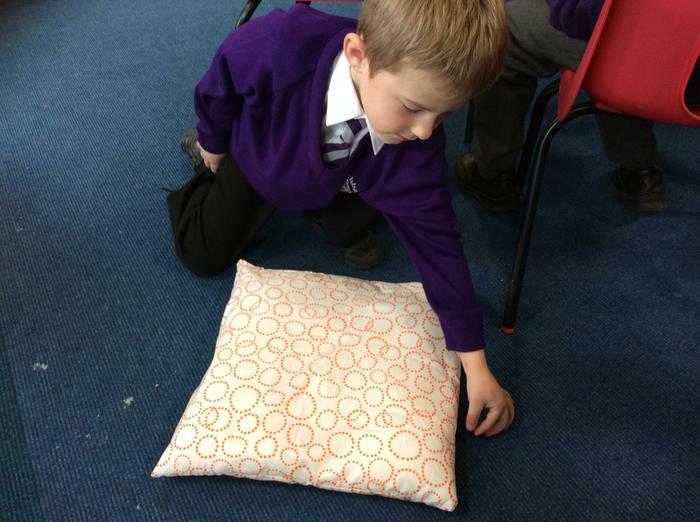 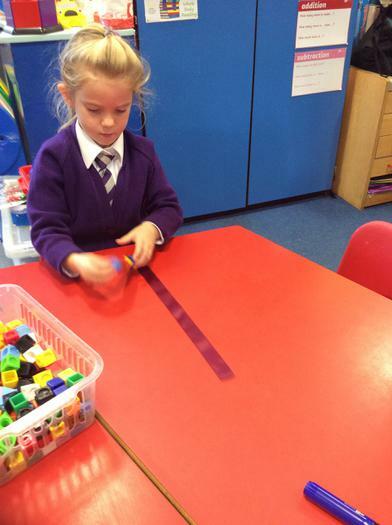 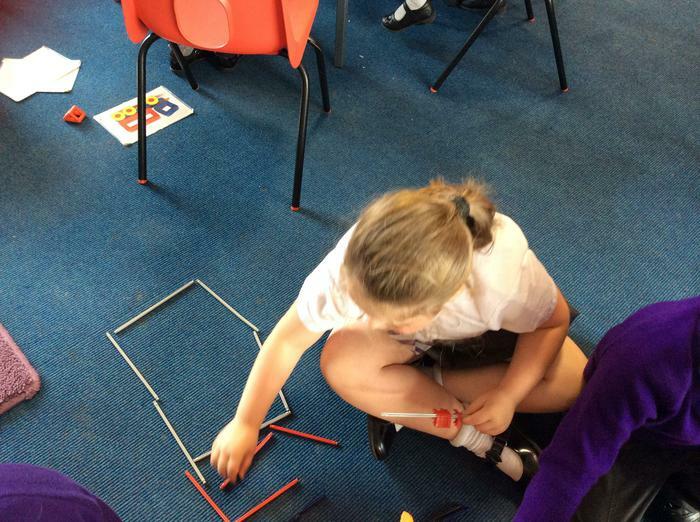 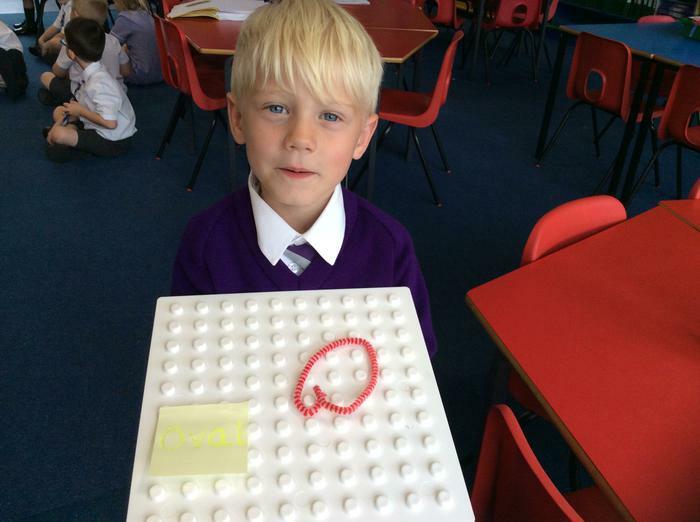 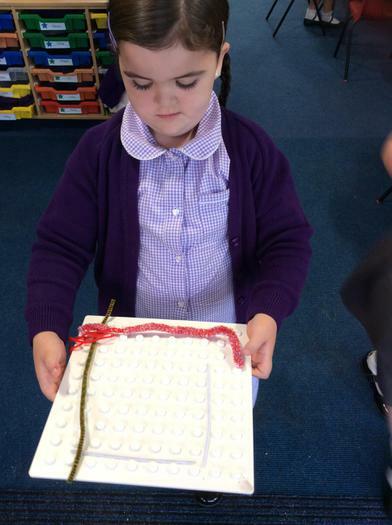 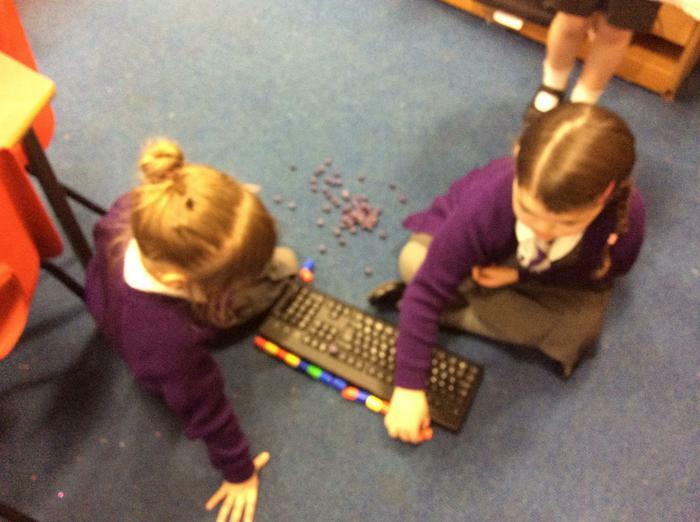 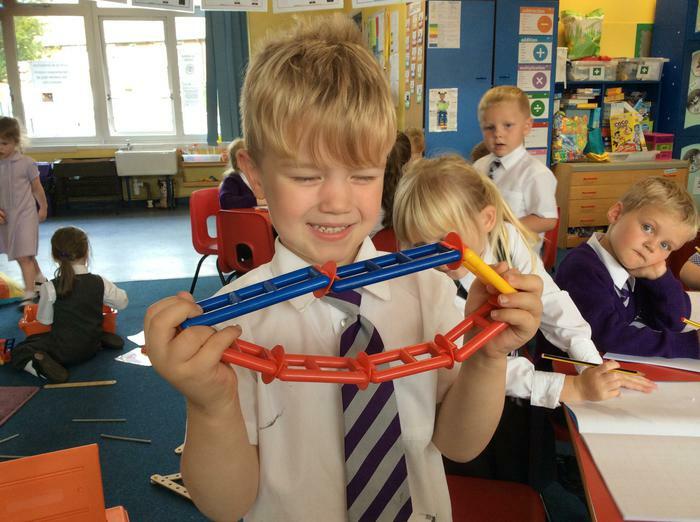 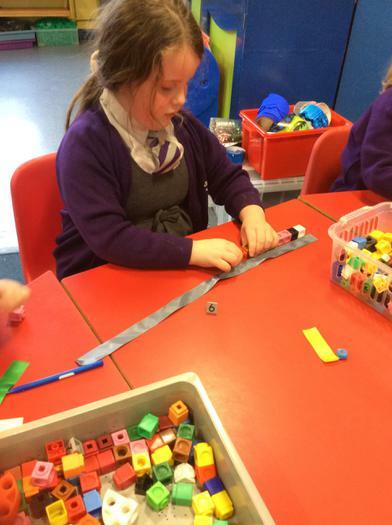 Recognising, creating and repeating patterns. 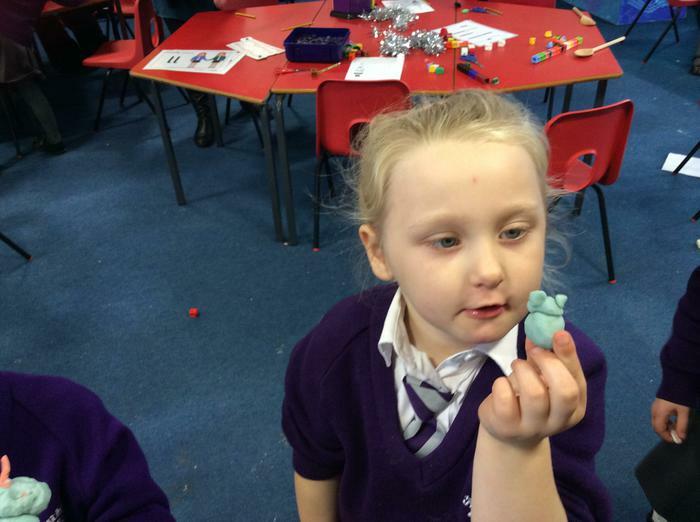 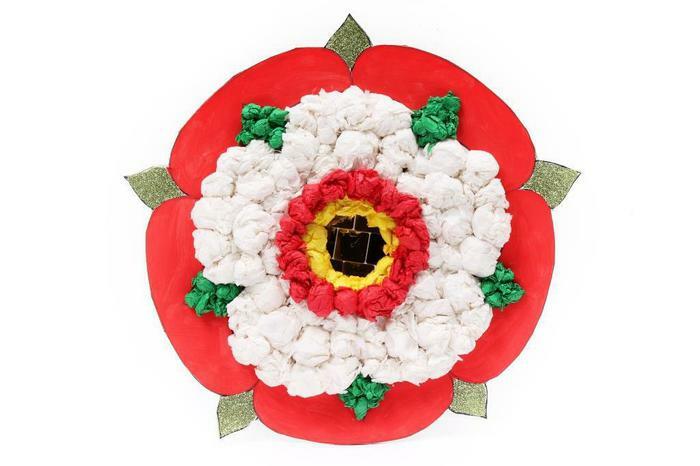 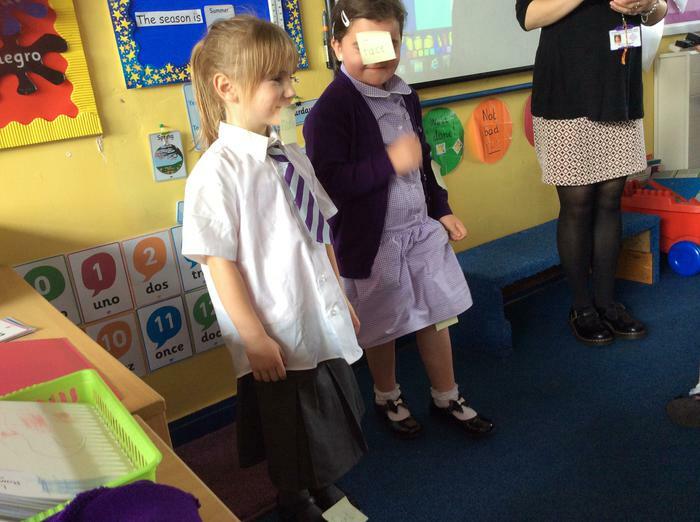 This week, as part of Lancashire week, we have been learning about the Pendle witches. 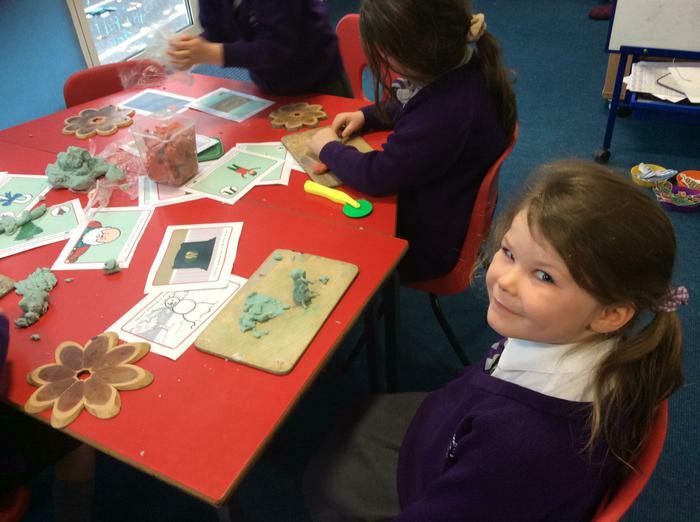 We talked about stereotypical images of witches and designed warning posters! 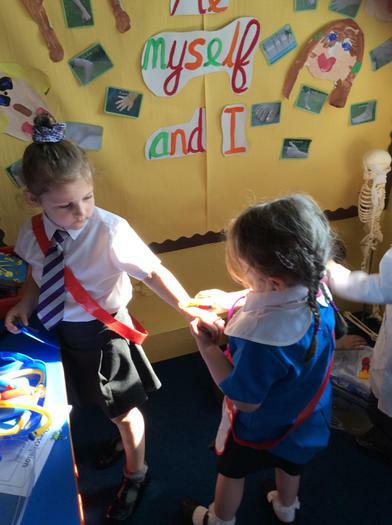 We enjoyed a St. Cuthbert's witch hunt and questioned many teachers to see if they showed any signs of being a witch or carrying out witch craft activities! 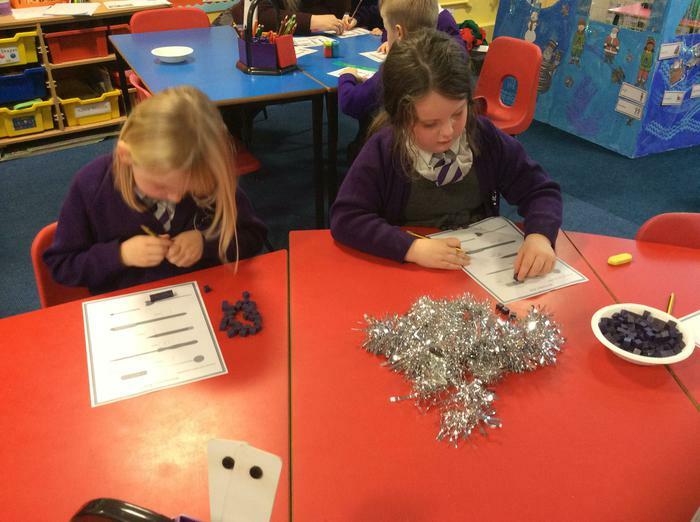 Unfortunately, we discovered many of the teachers questioned did in fact appear to be witches! 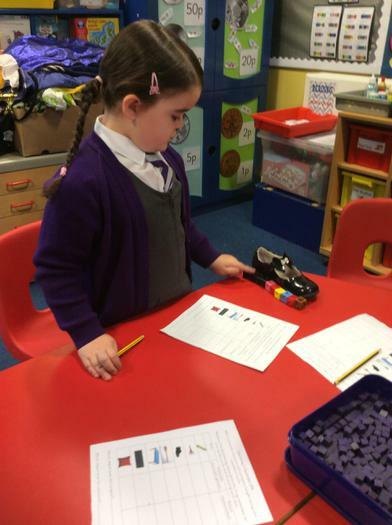 In particular Miss Gibson, who lives alone with her black cat! 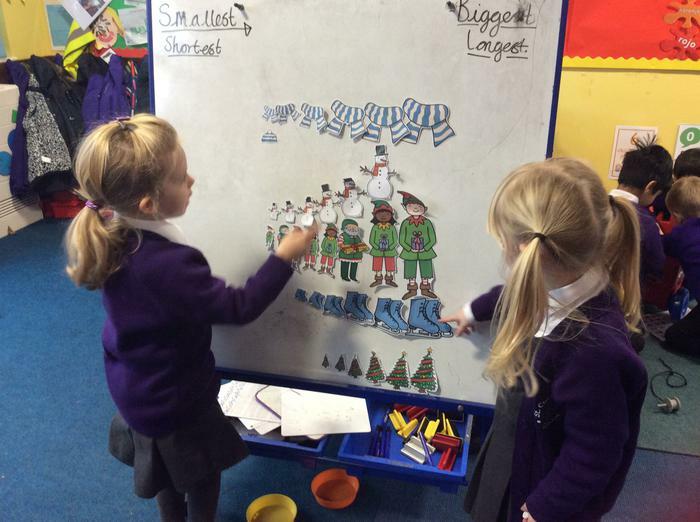 We have combined our English lessons with Geography and have written letters to Father Christmas at the North Pole! 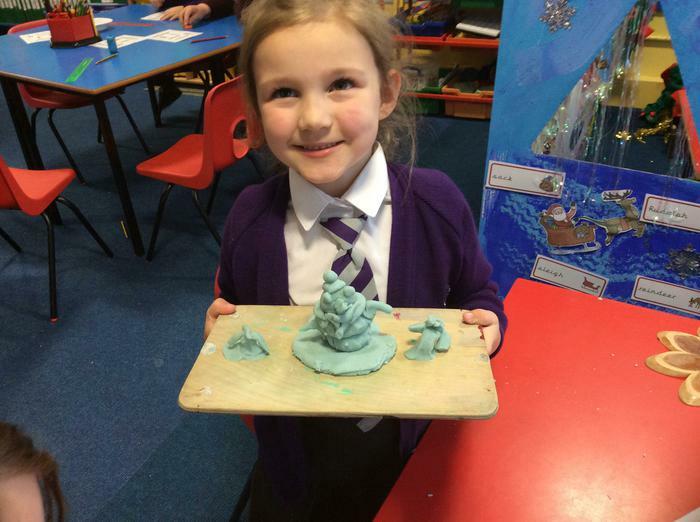 We have learned about the arctic landscape and how this may compare to where we live. 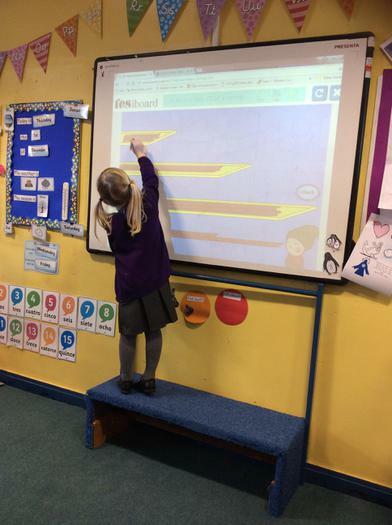 We have also studied our addresses and it's different parts, exploring areas using Google maps before self addressing our letters. 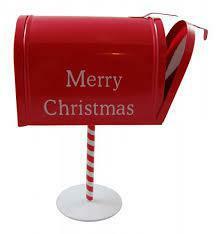 Today we had a little walk to the post box to send our letters on their long journey to the North Pole! 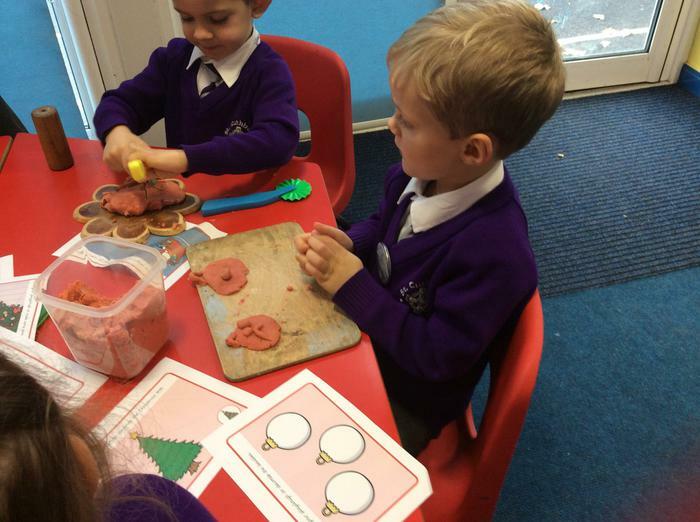 Autumn 2's Role play area is Santa's Workshop. 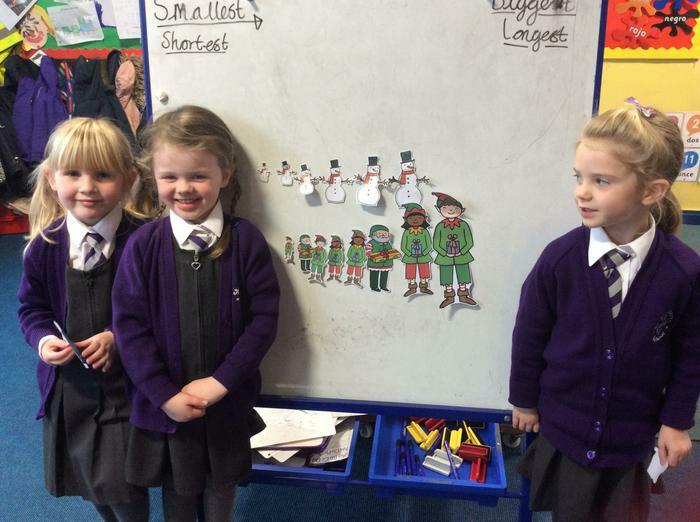 The children are really enjoying being Elves. 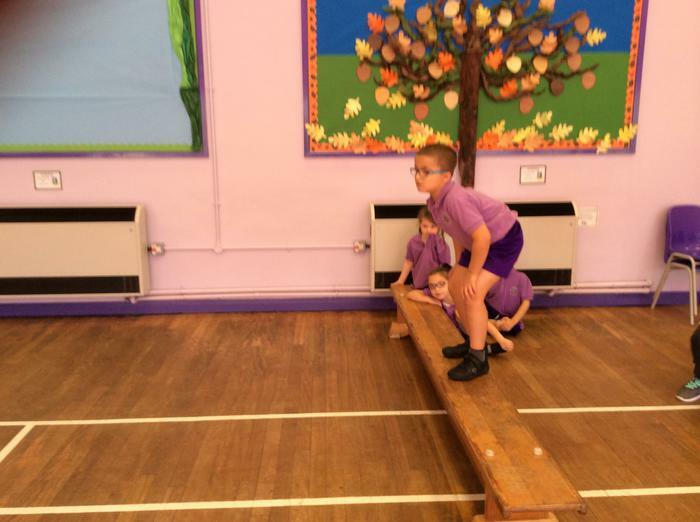 Outside PE practicing our listening skills and following instructions for football. 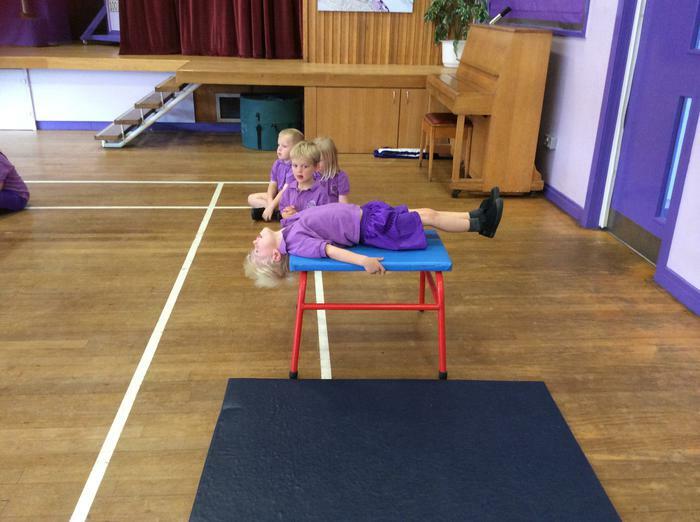 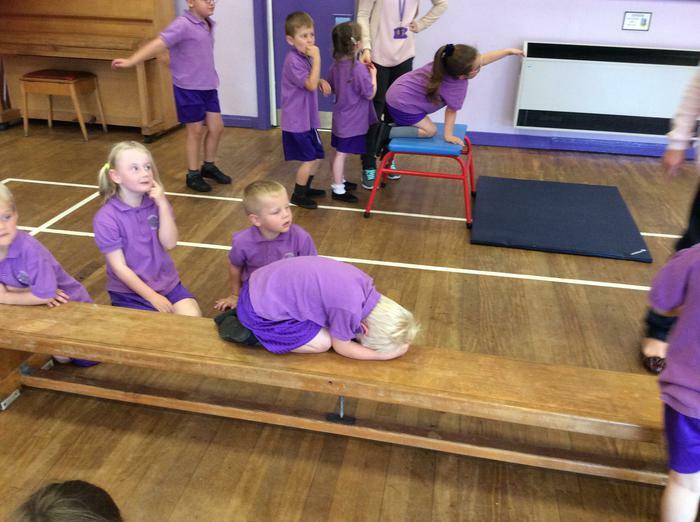 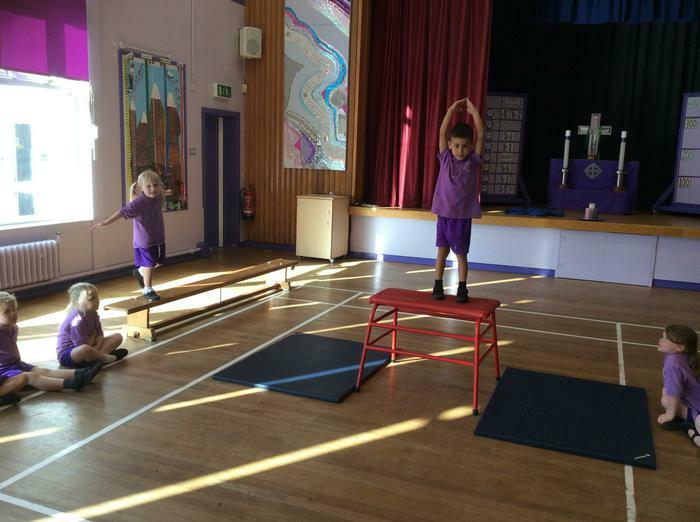 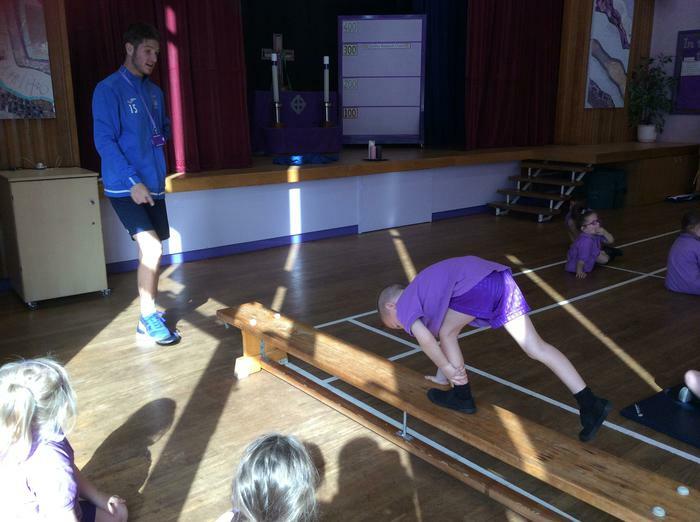 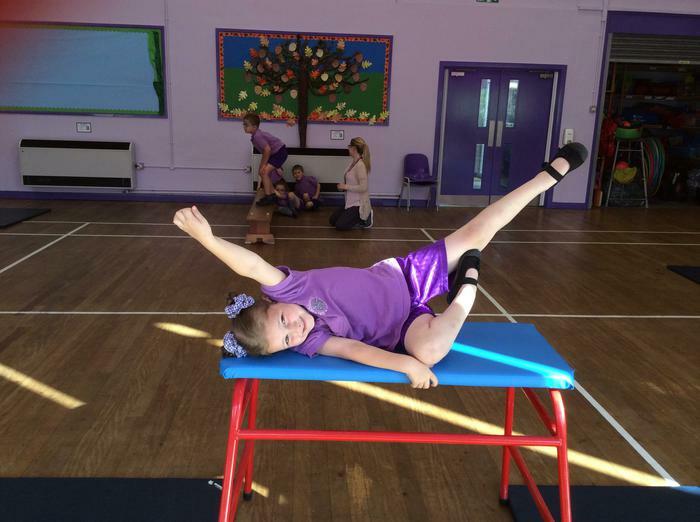 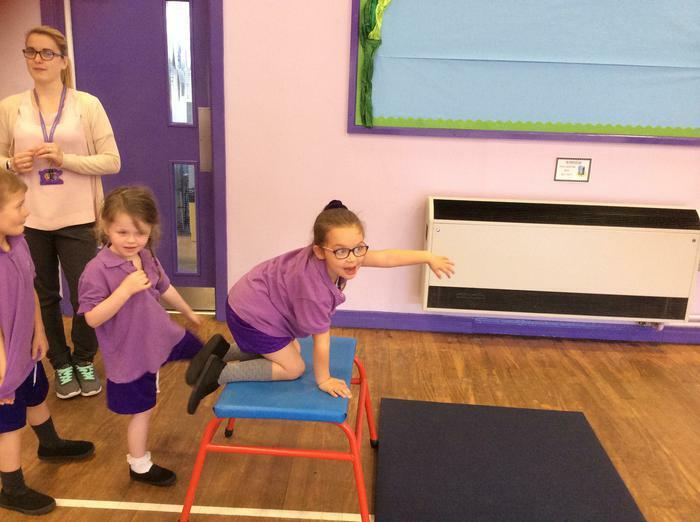 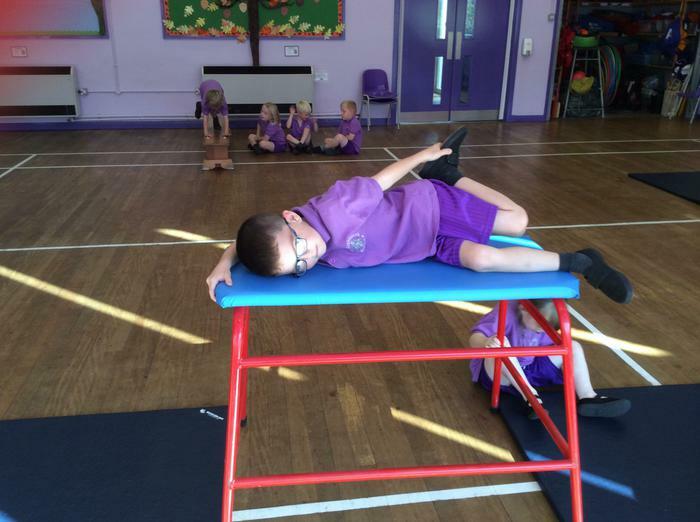 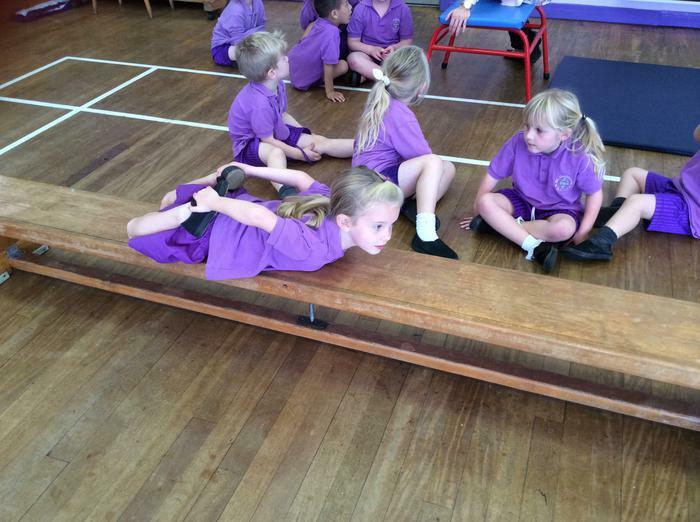 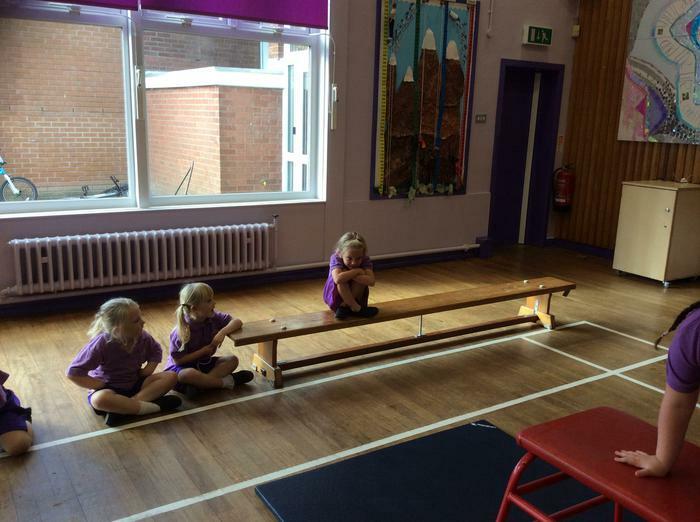 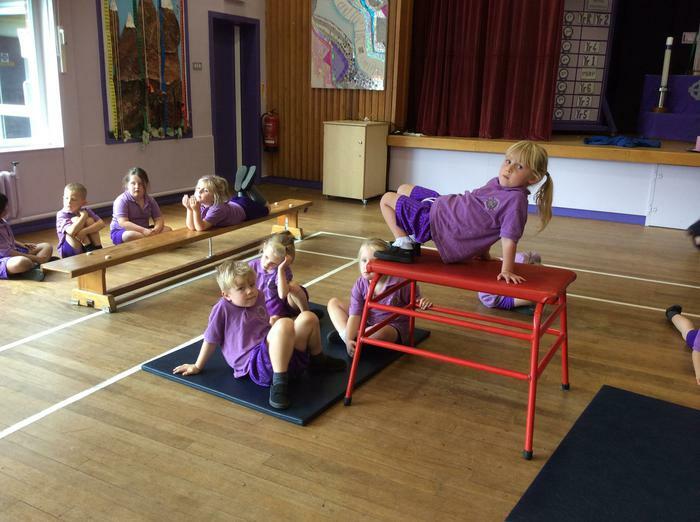 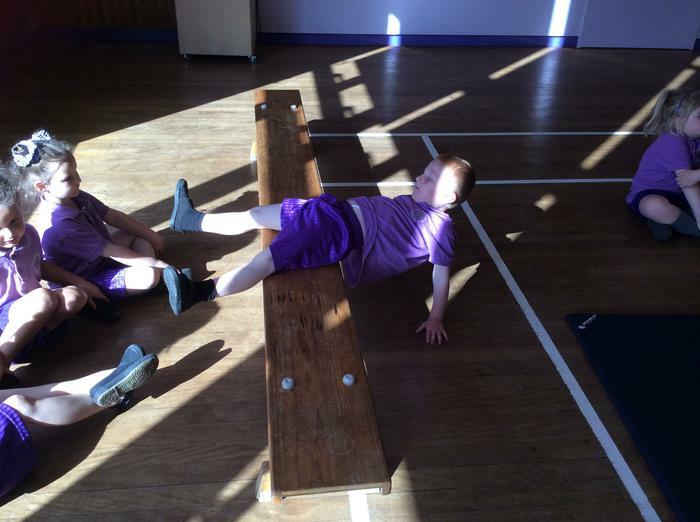 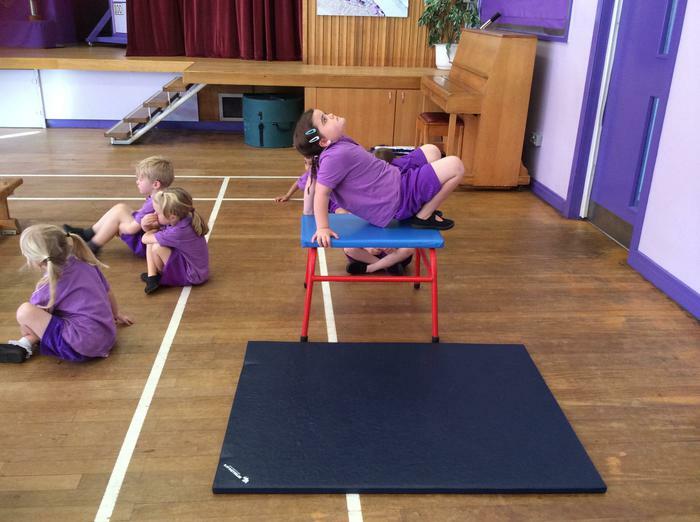 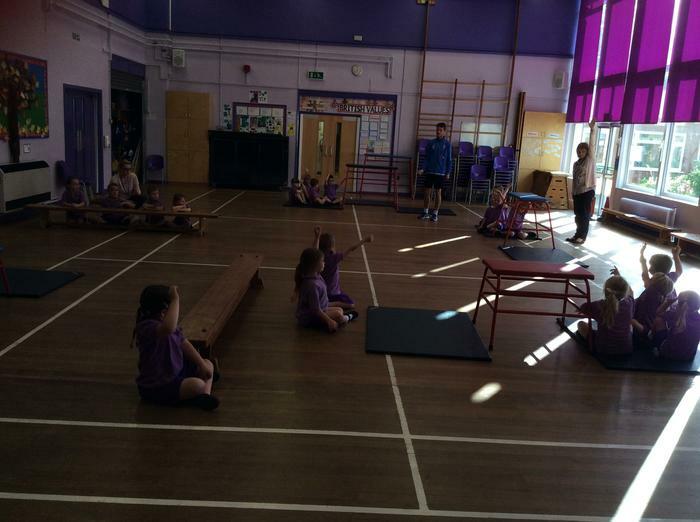 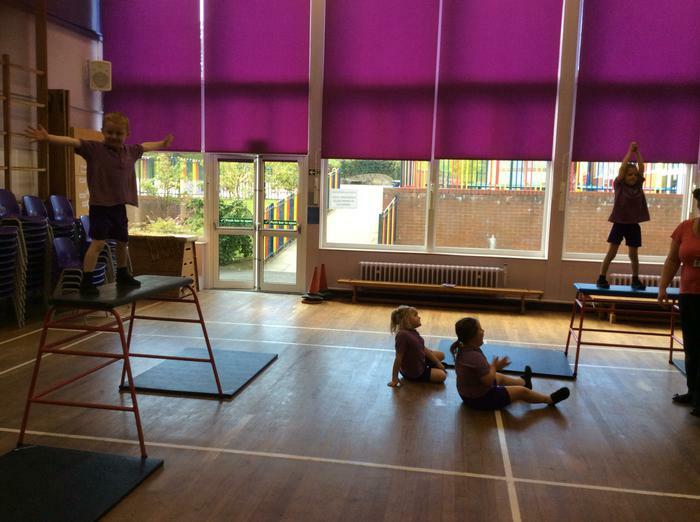 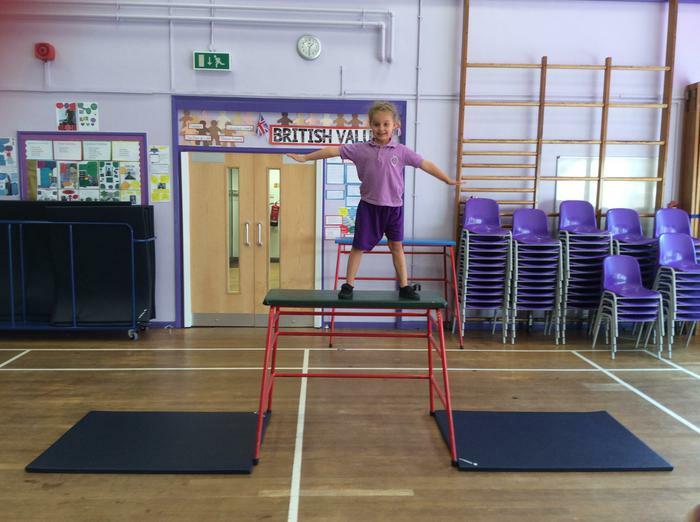 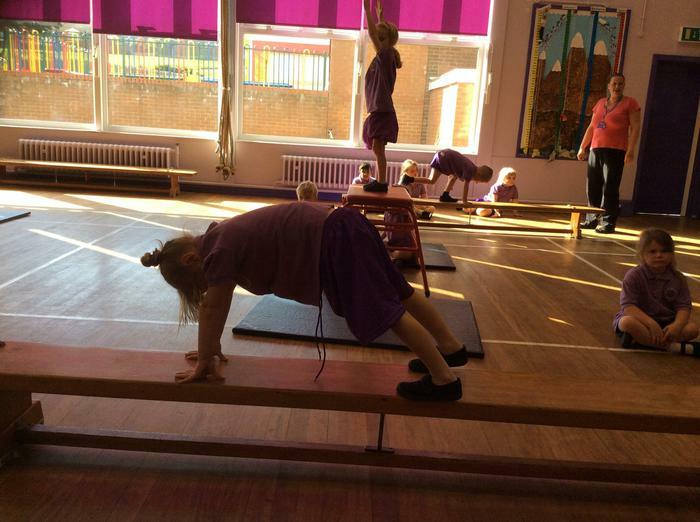 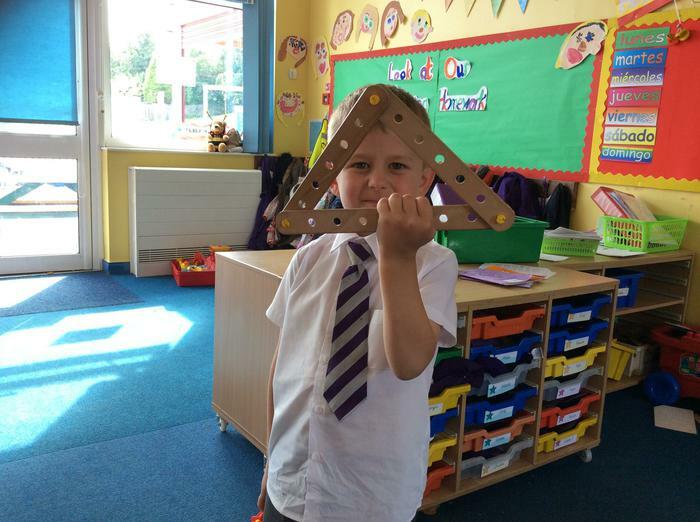 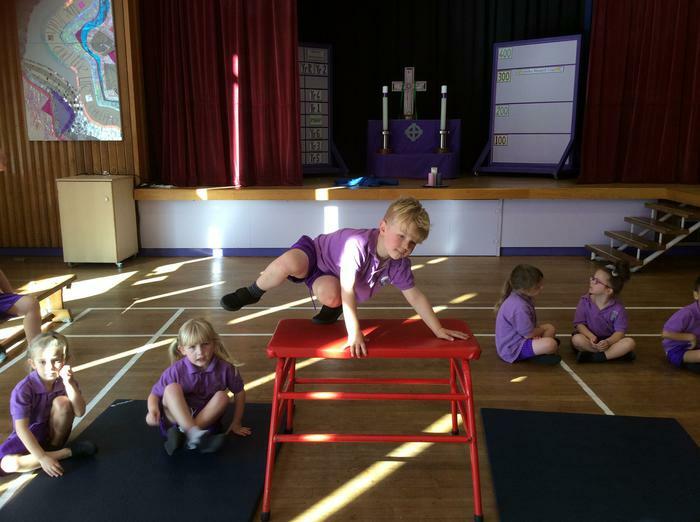 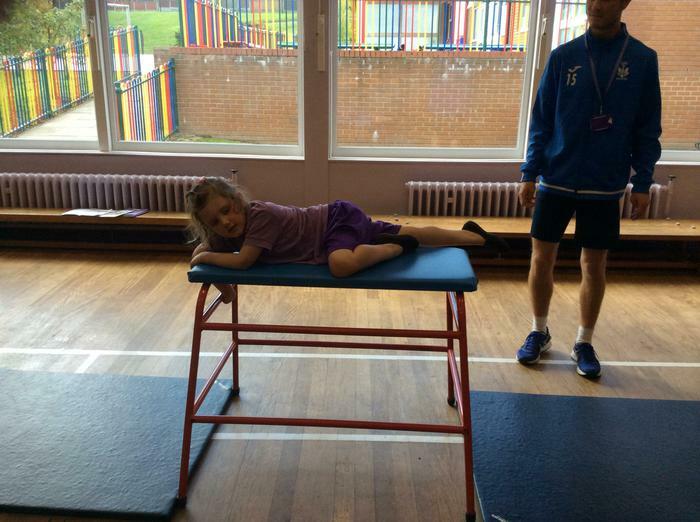 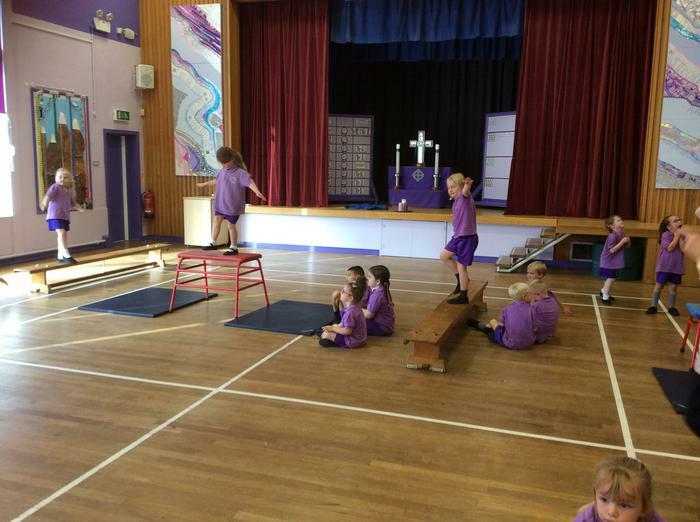 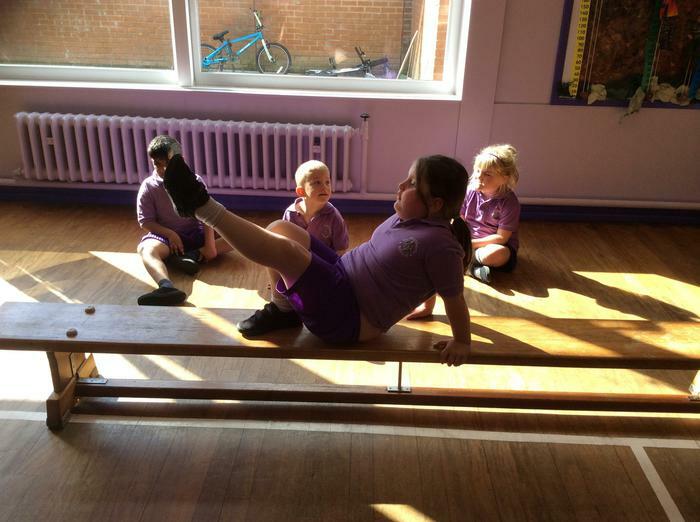 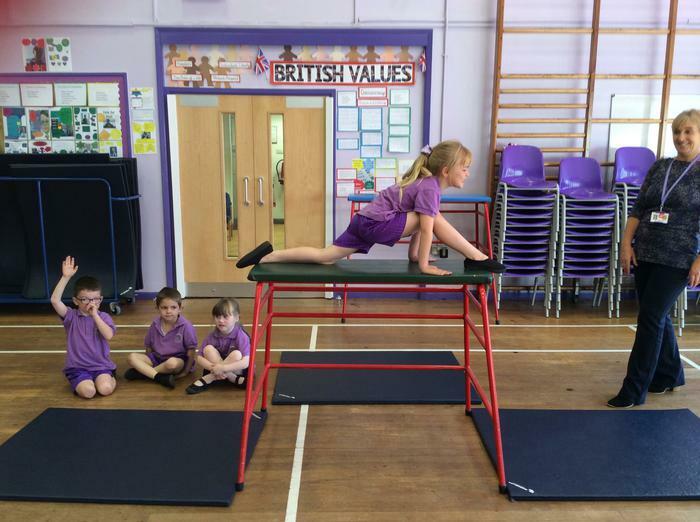 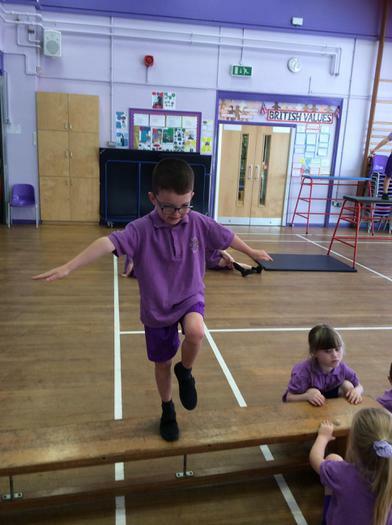 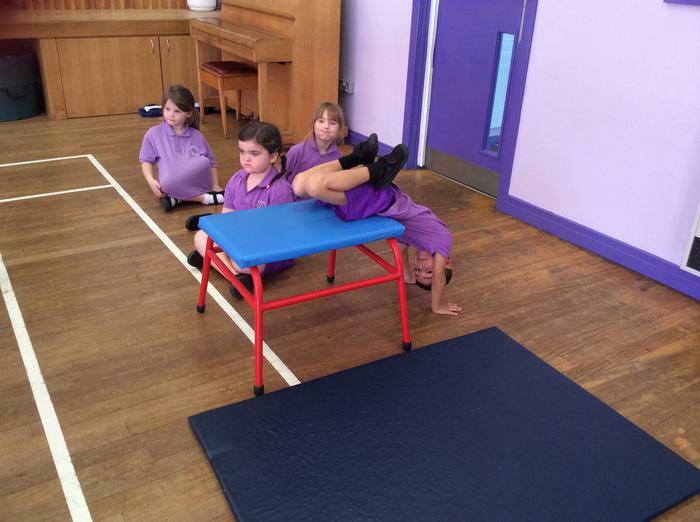 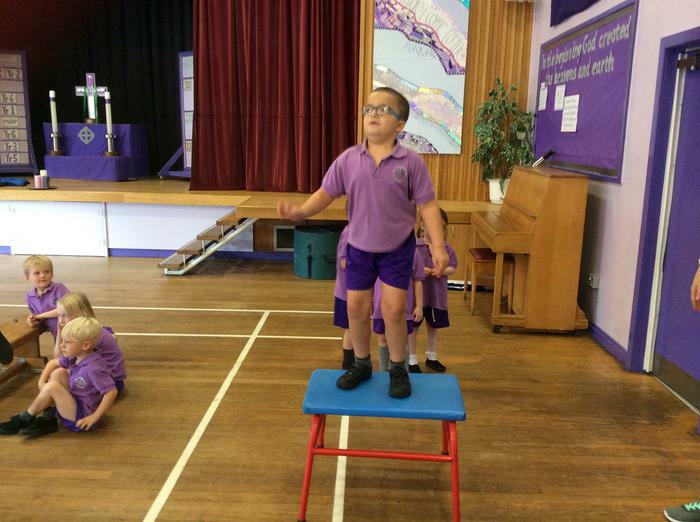 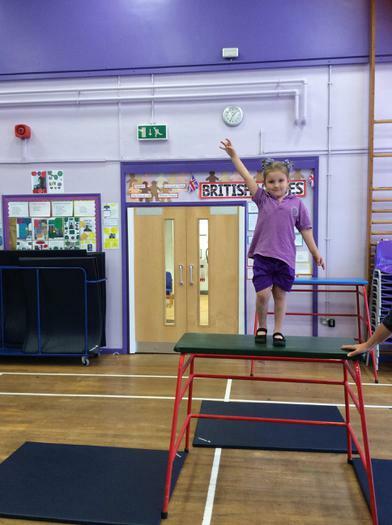 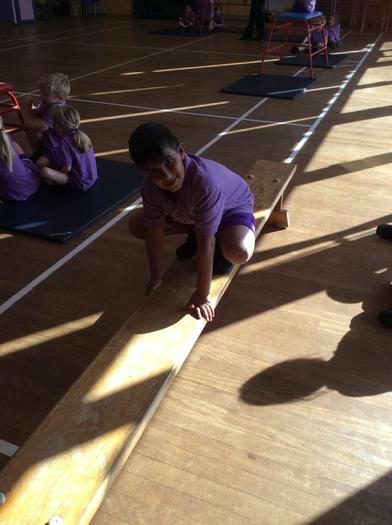 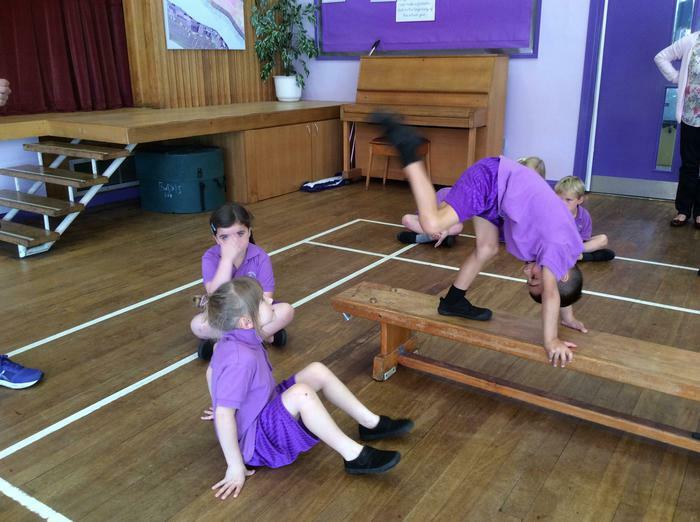 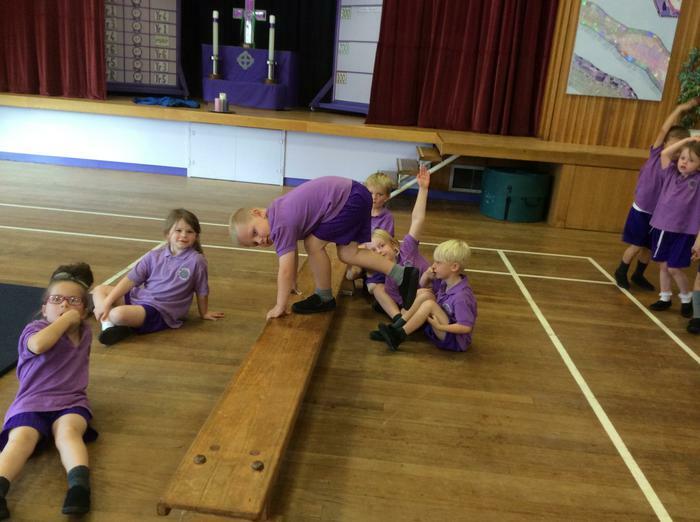 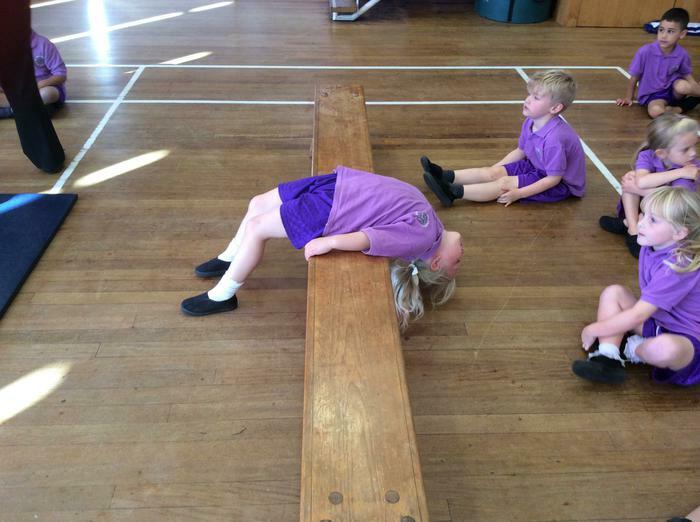 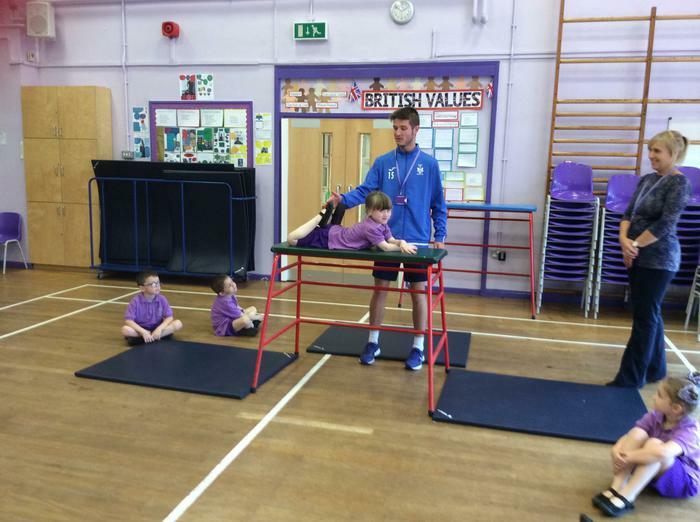 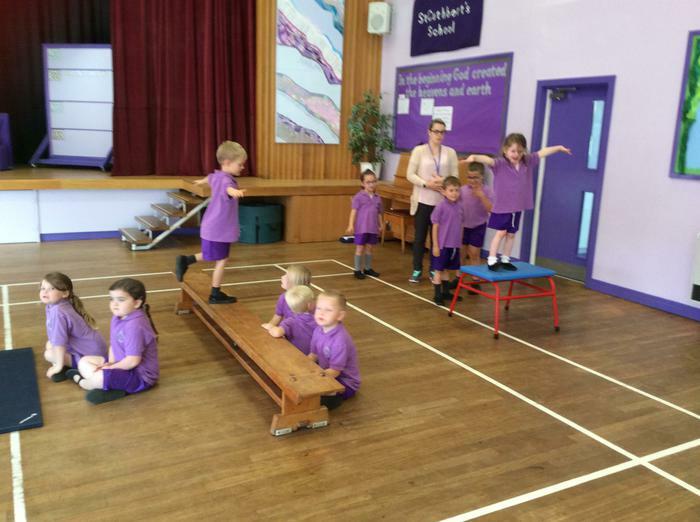 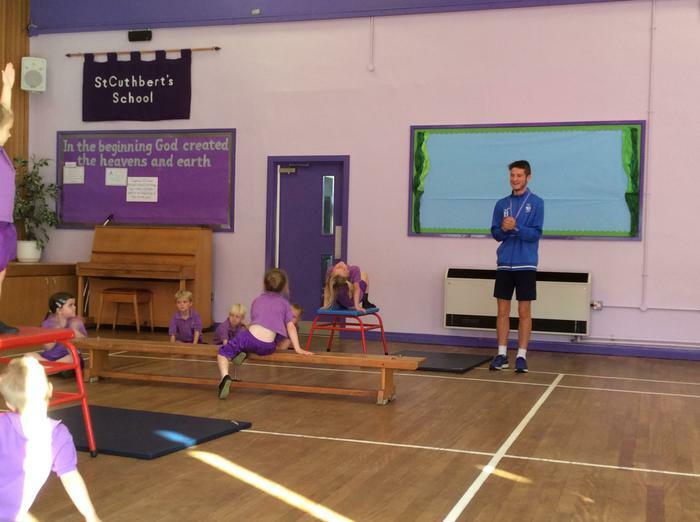 Take a look at our fantastic shapes we made using our bodies and equipment in Gymnastics with Mr Ellison. 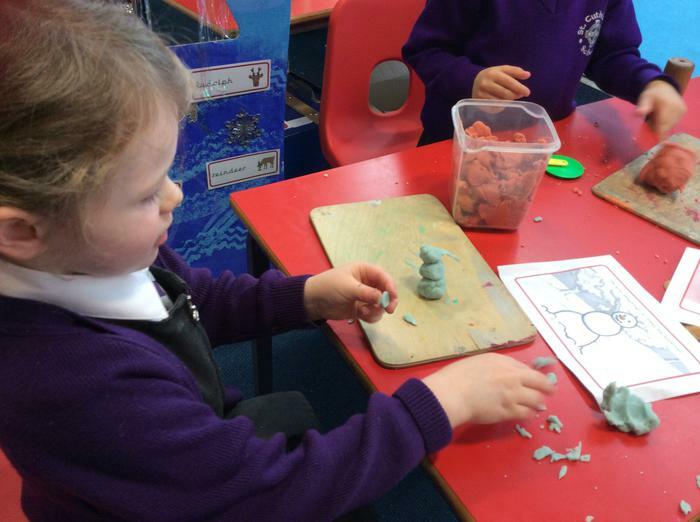 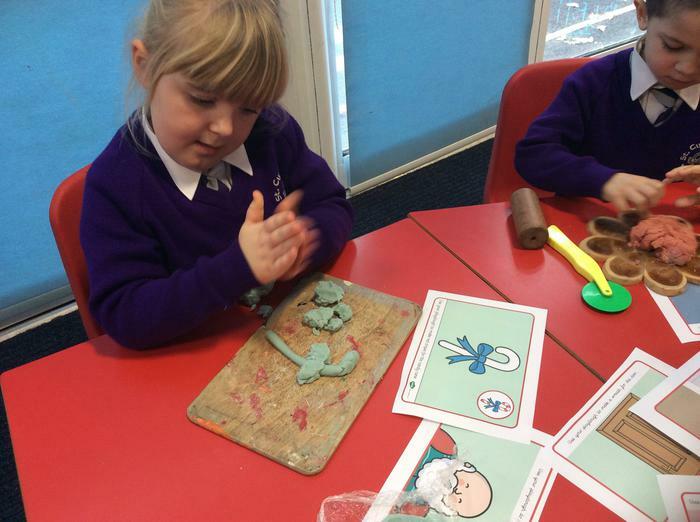 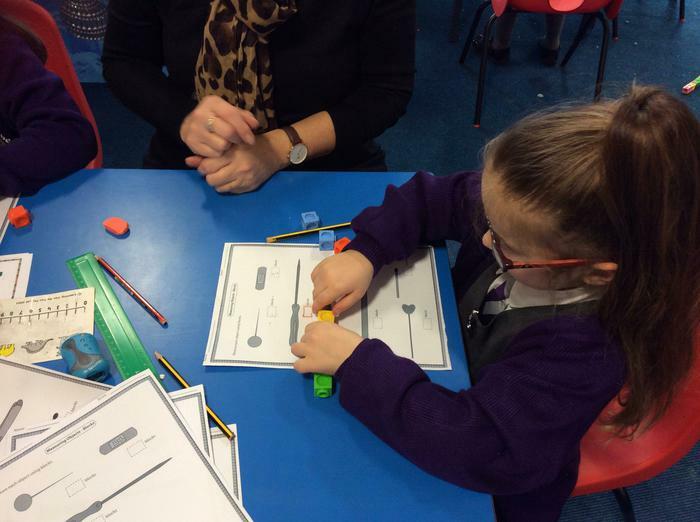 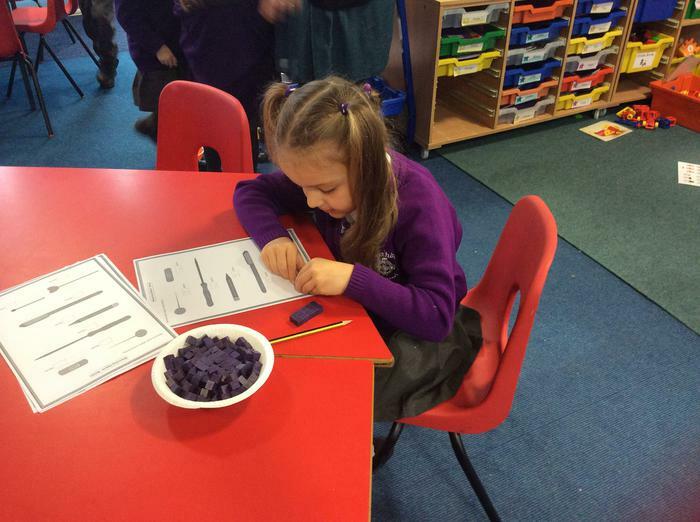 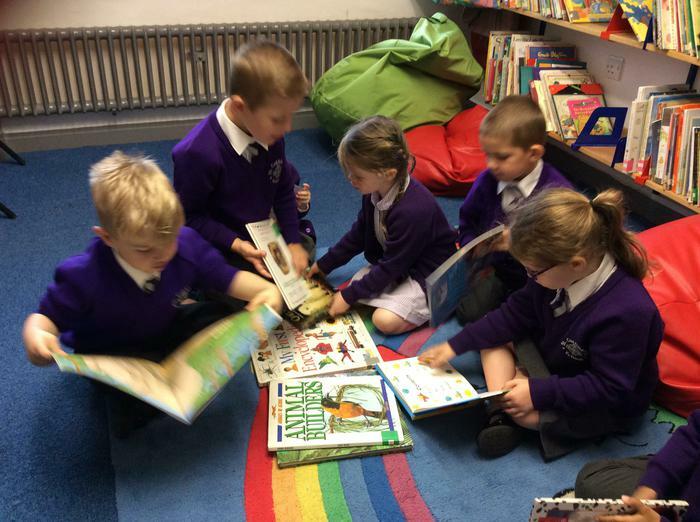 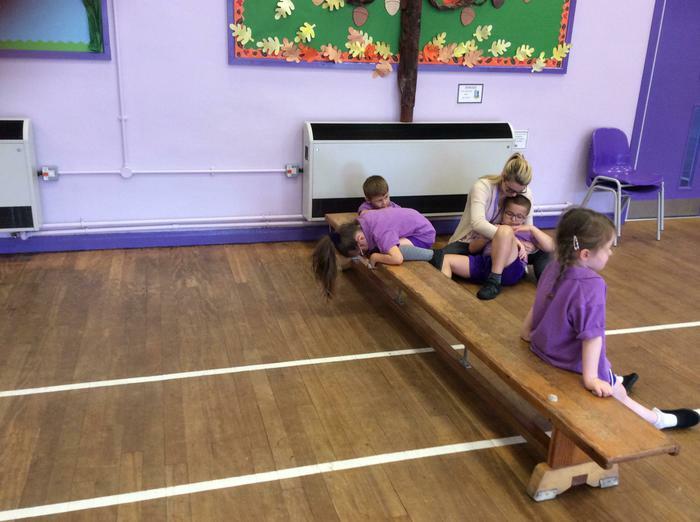 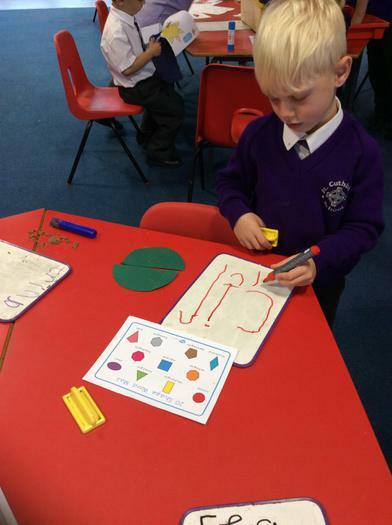 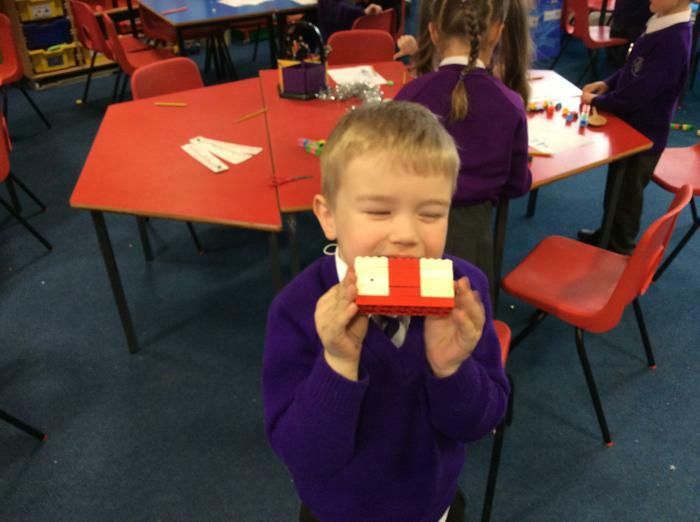 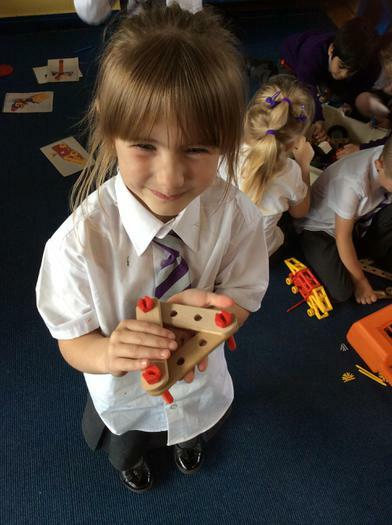 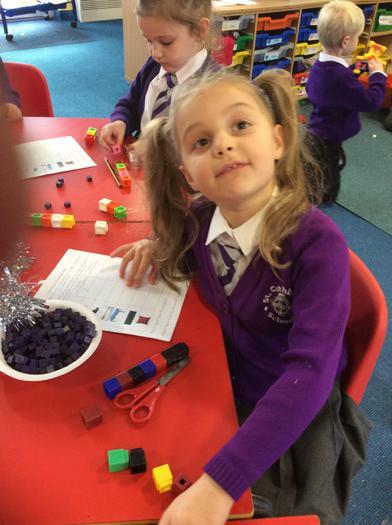 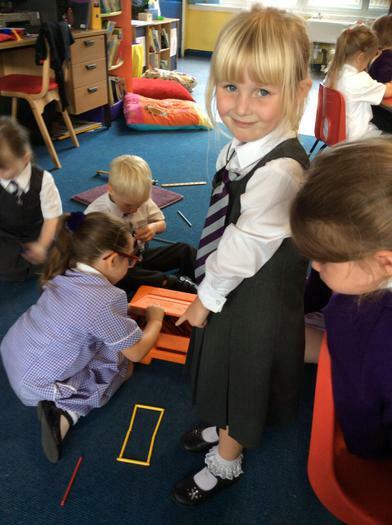 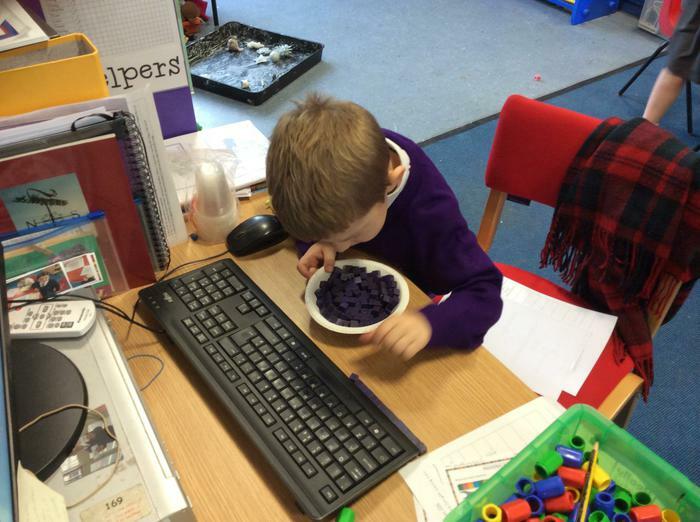 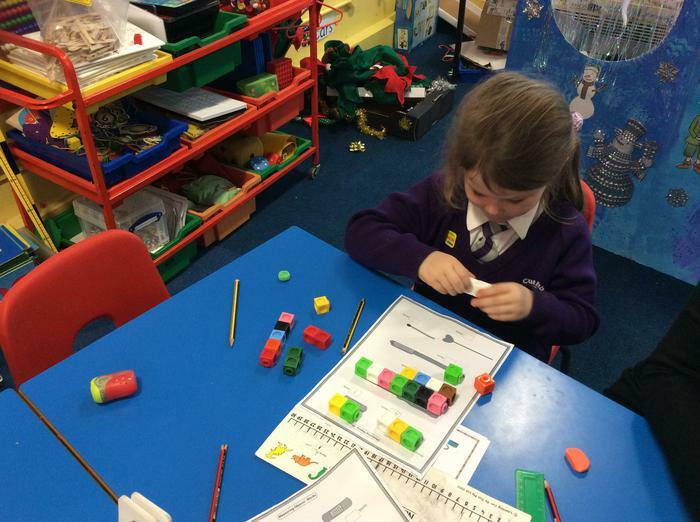 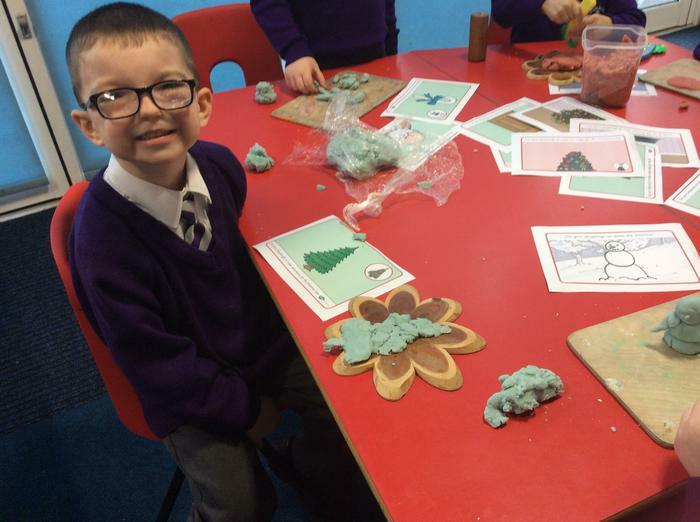 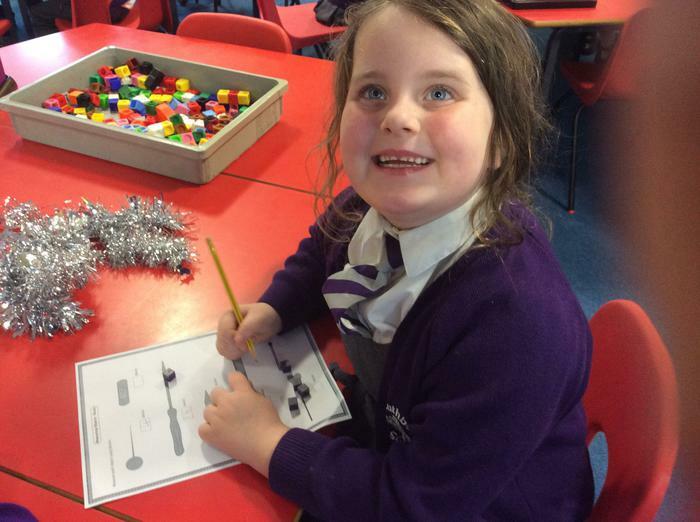 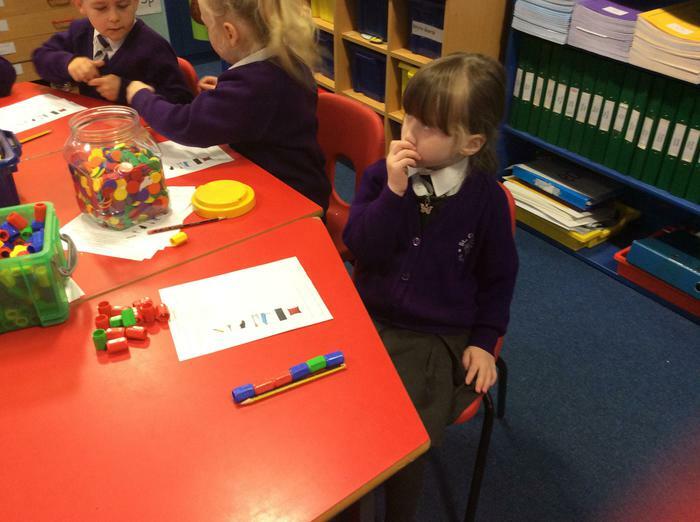 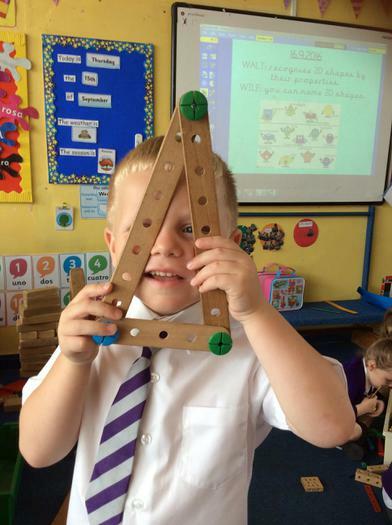 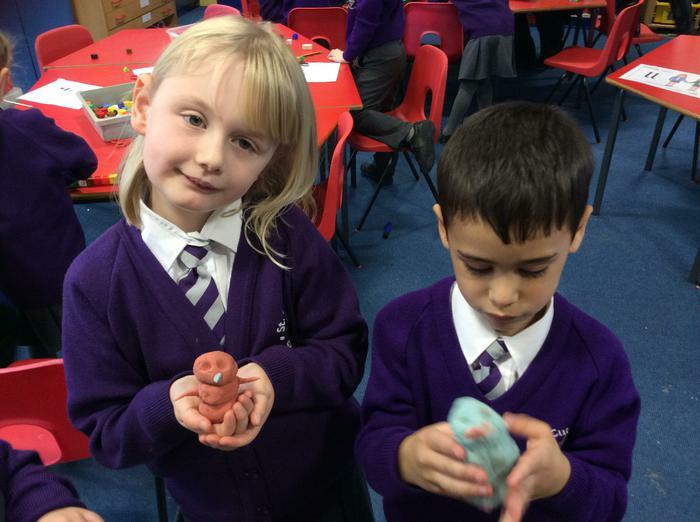 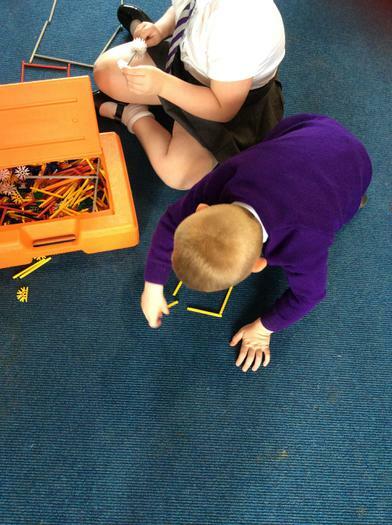 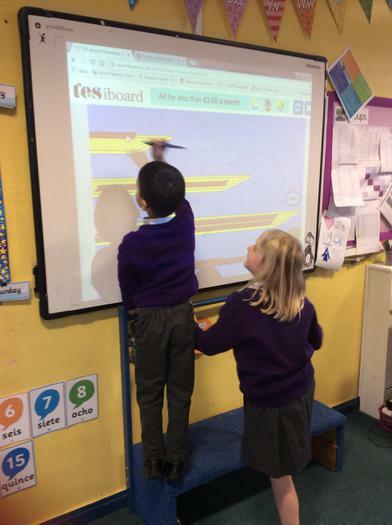 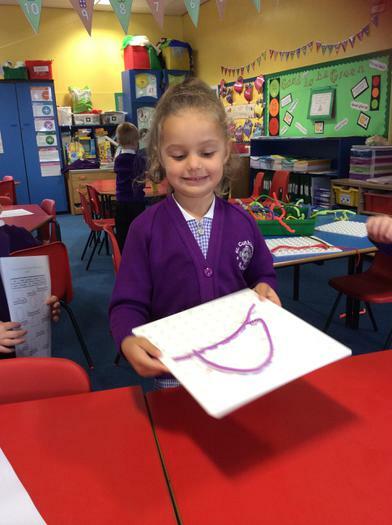 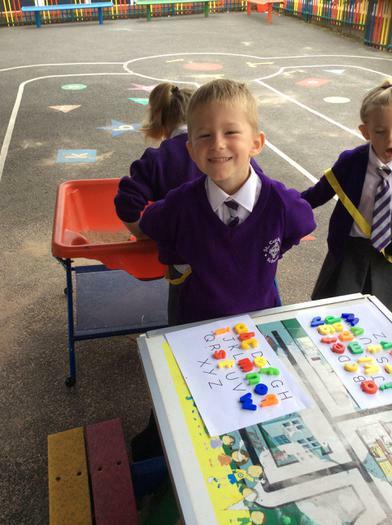 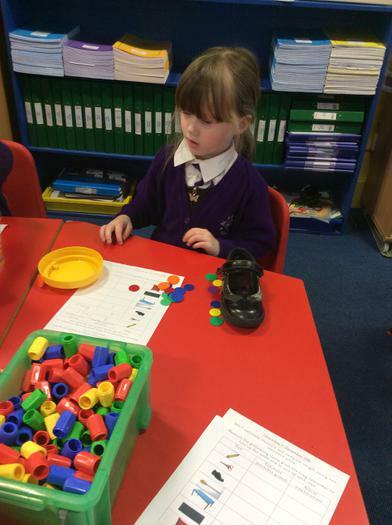 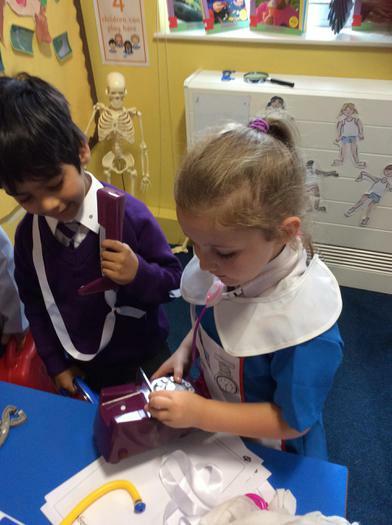 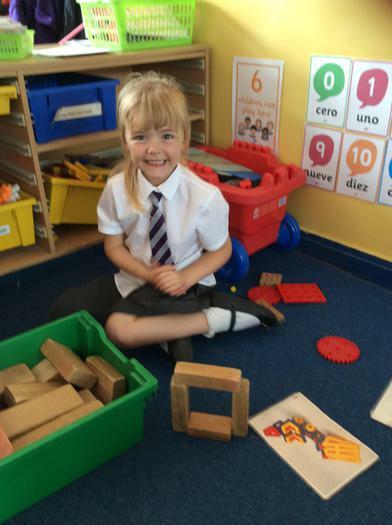 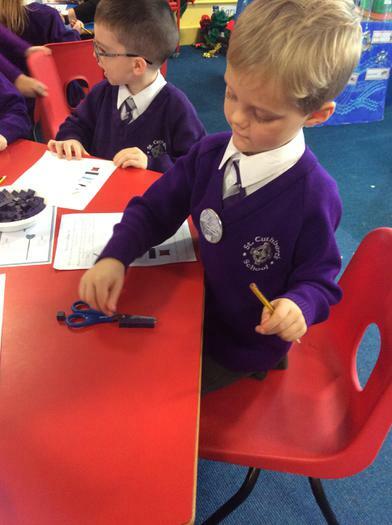 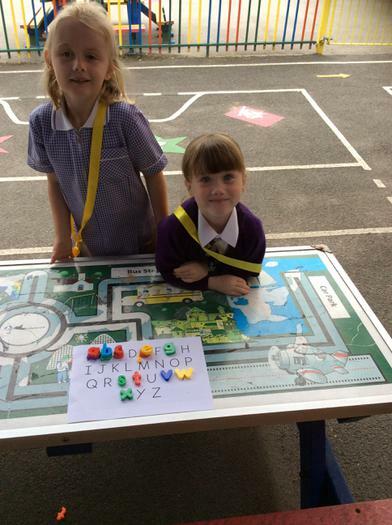 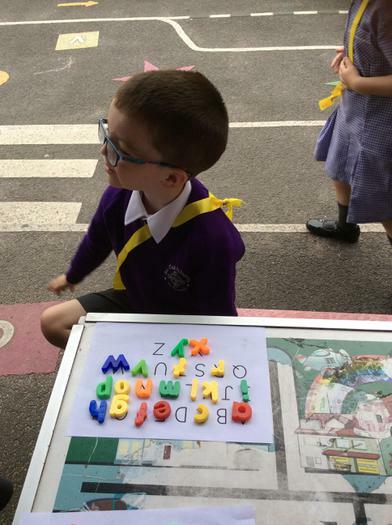 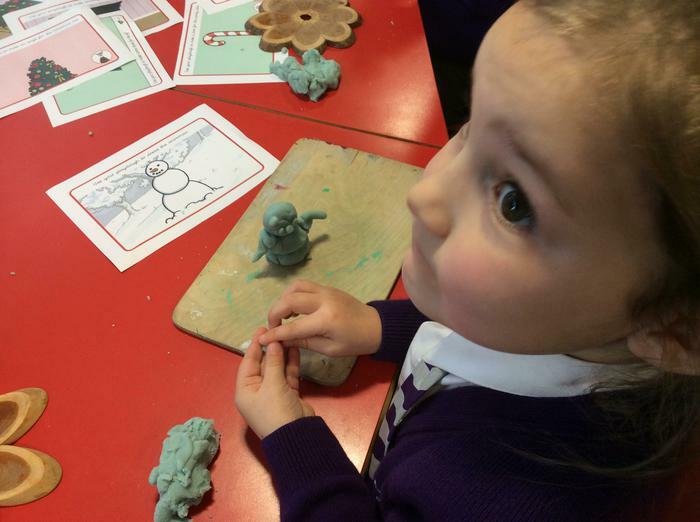 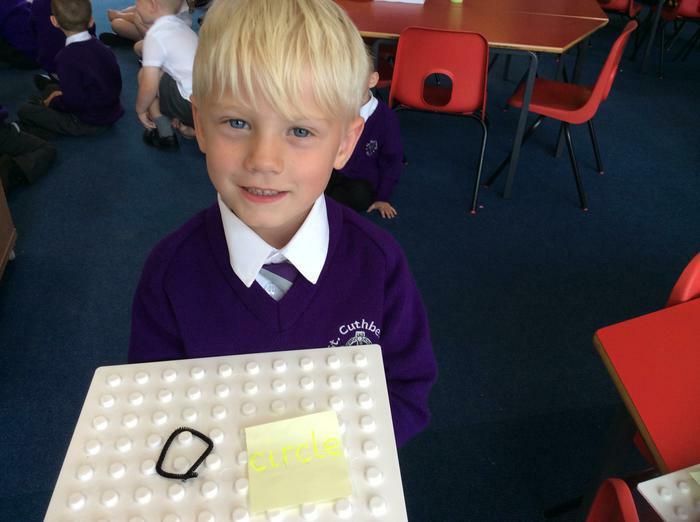 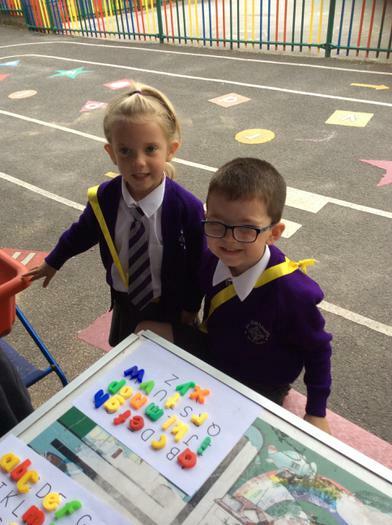 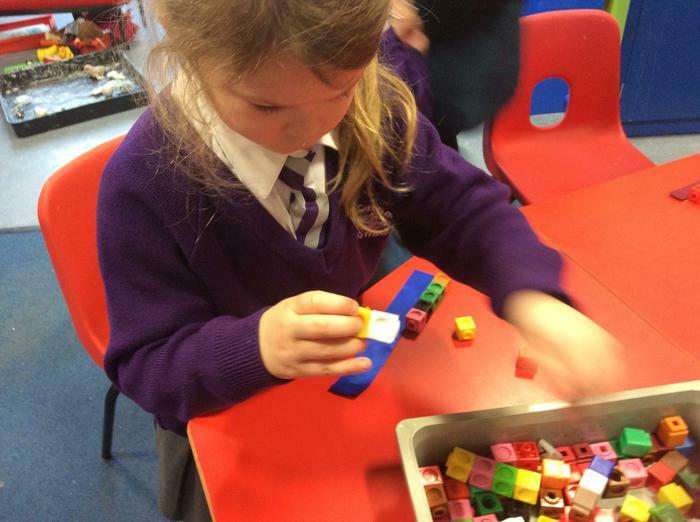 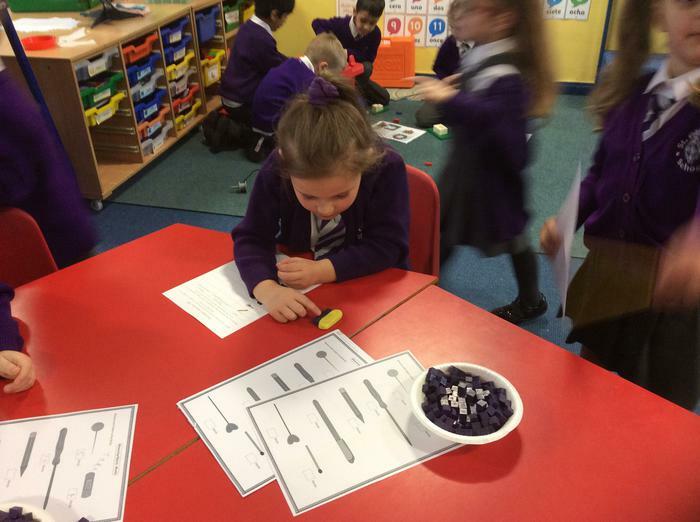 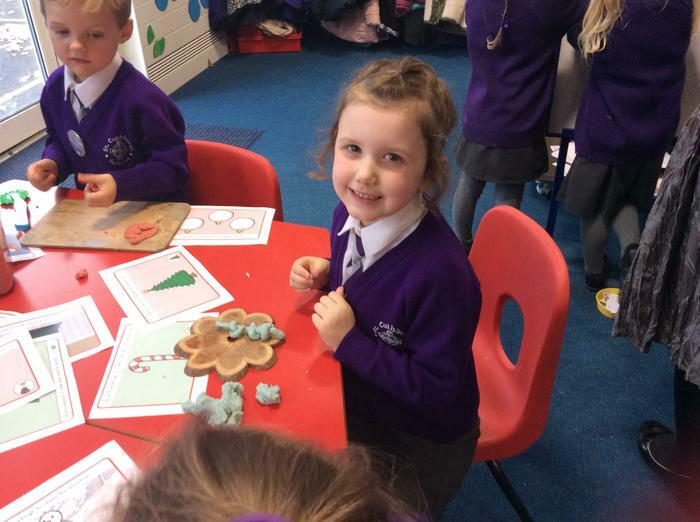 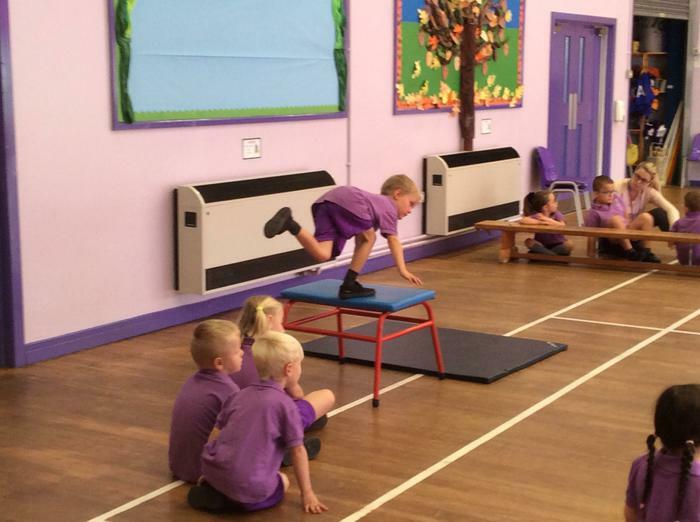 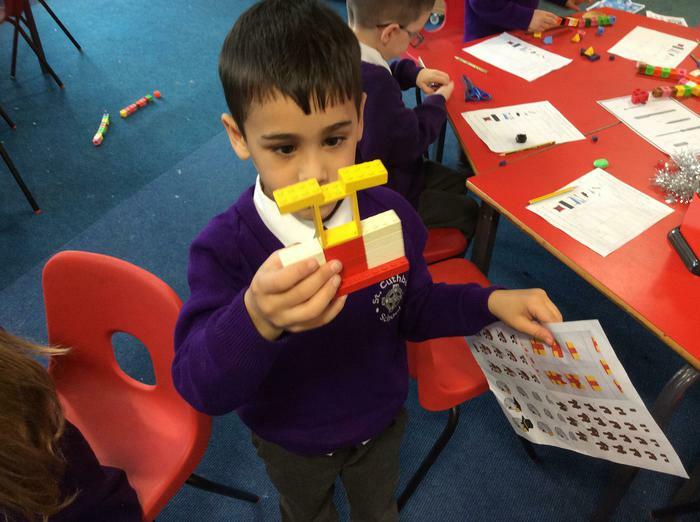 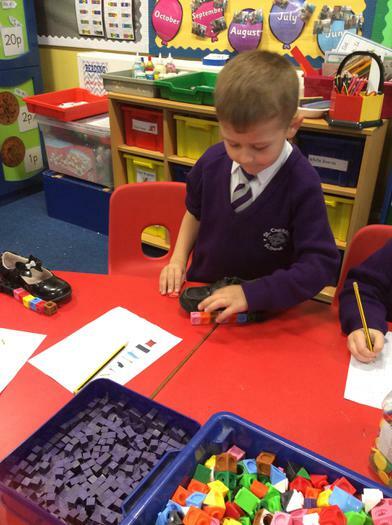 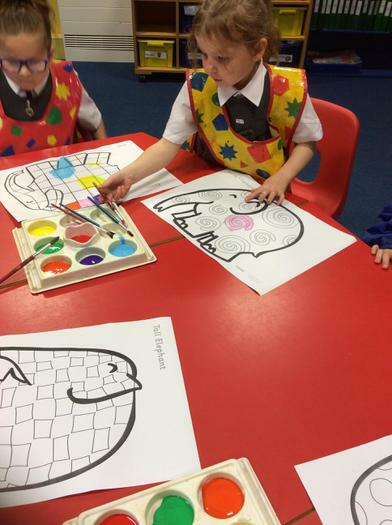 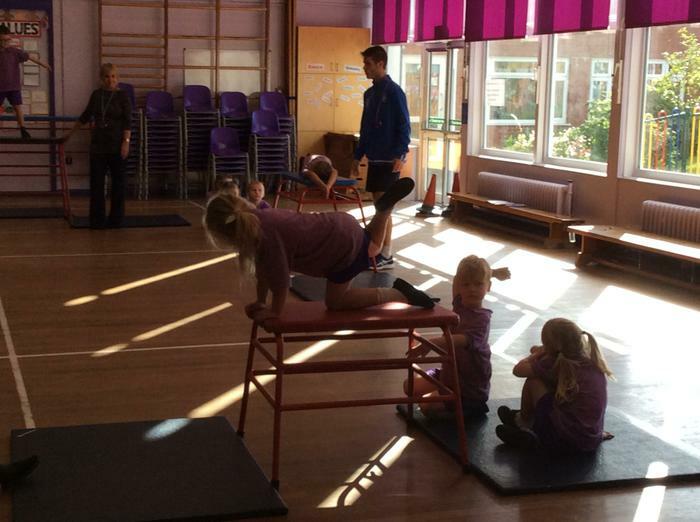 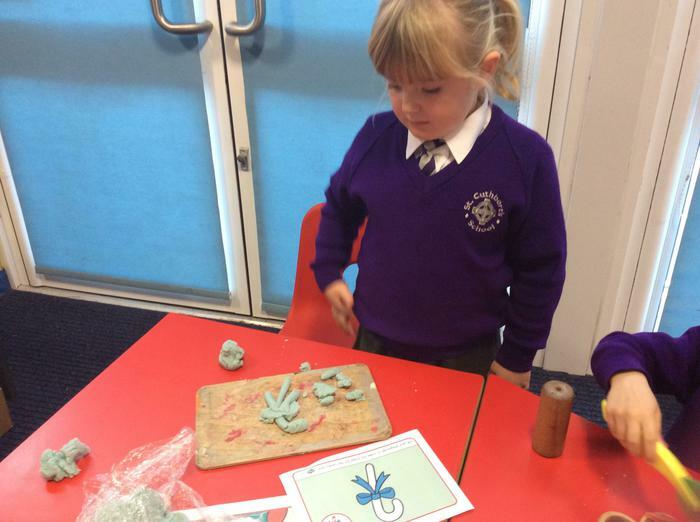 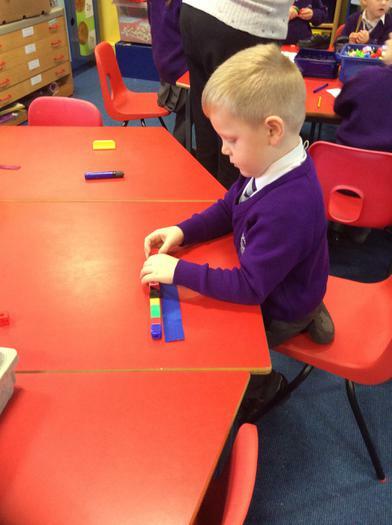 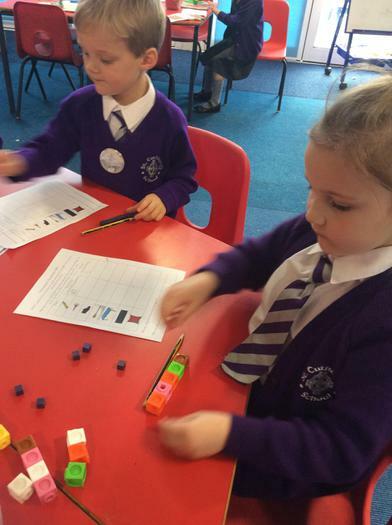 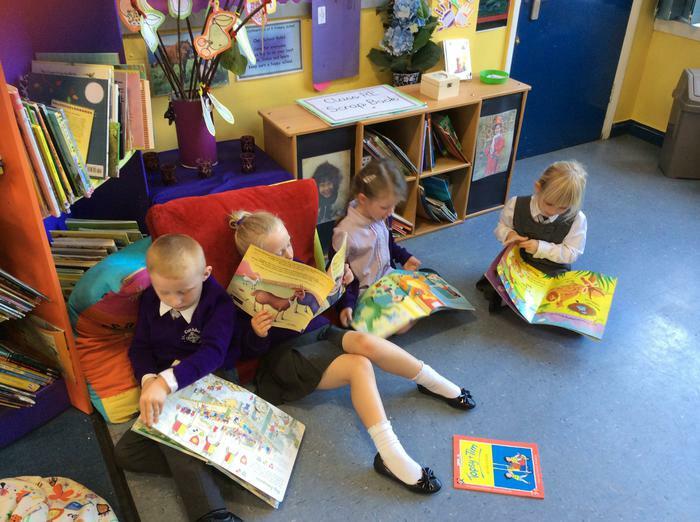 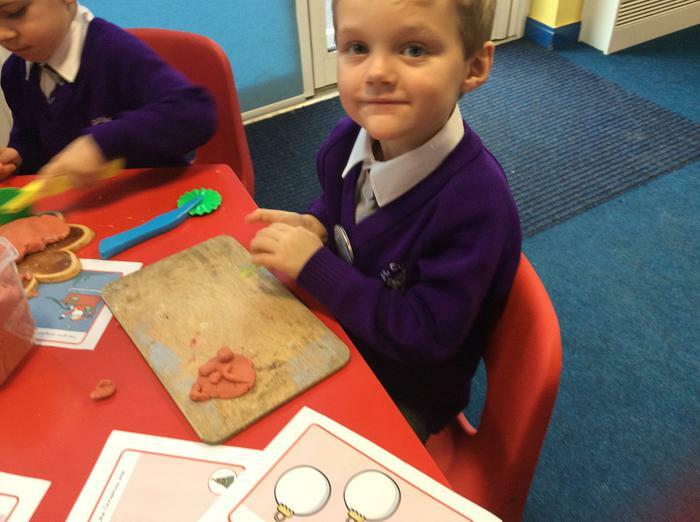 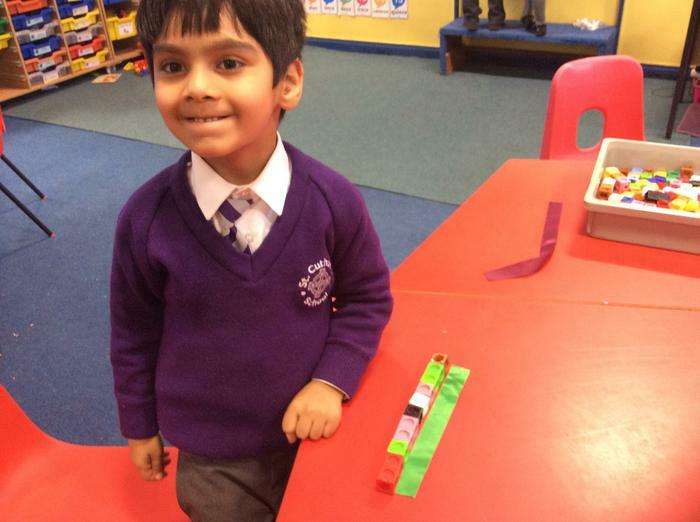 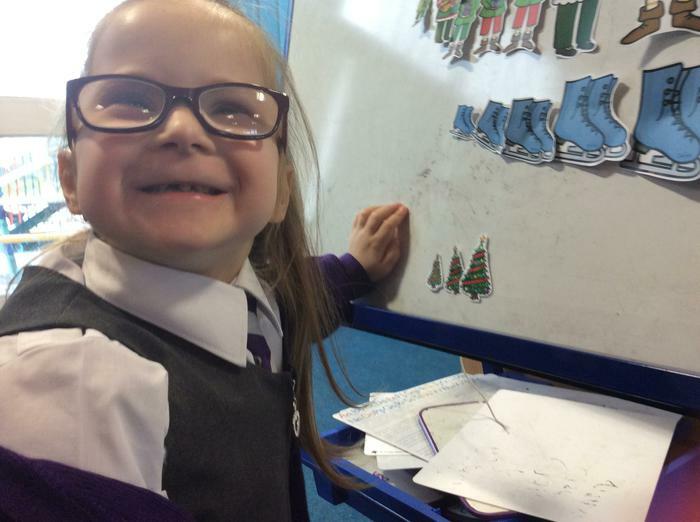 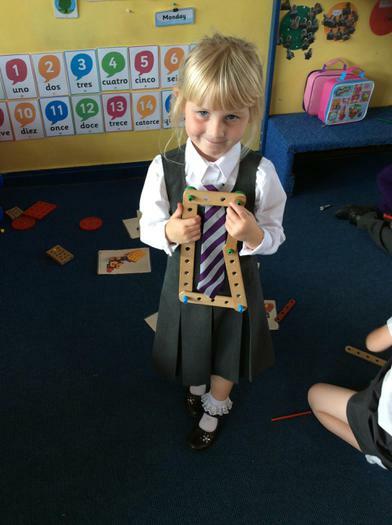 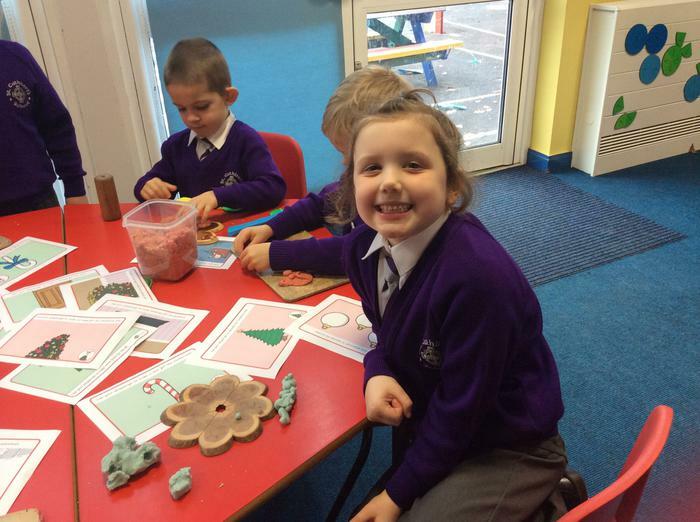 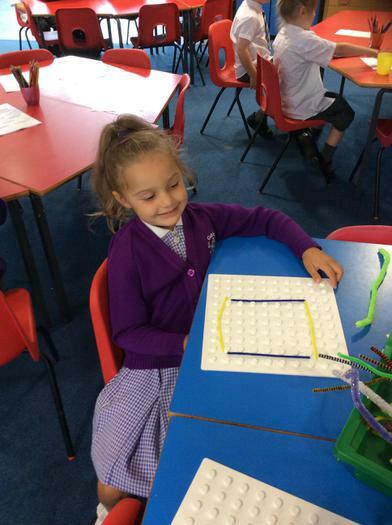 On task and working hard, keep it up Year 1! 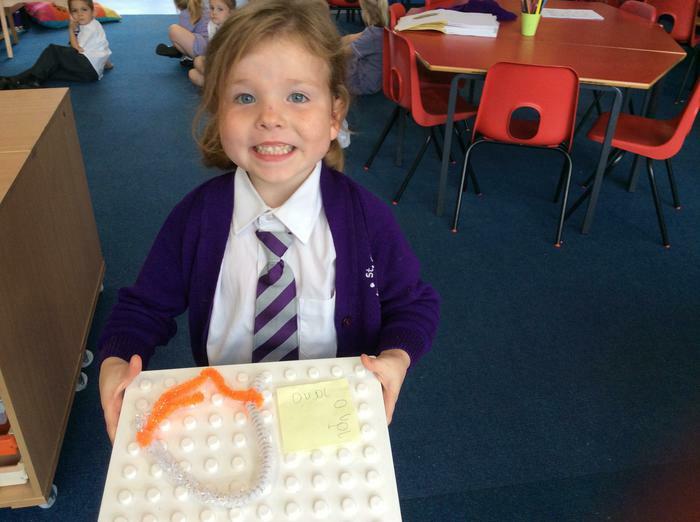 Guess the 2D shape, feely bag game. 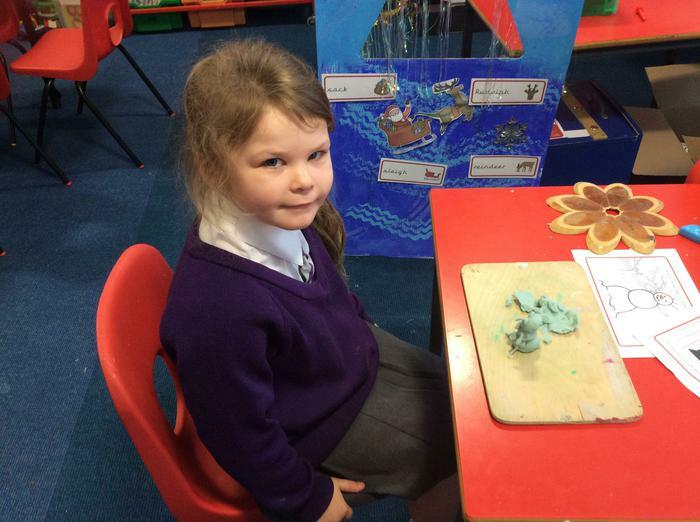 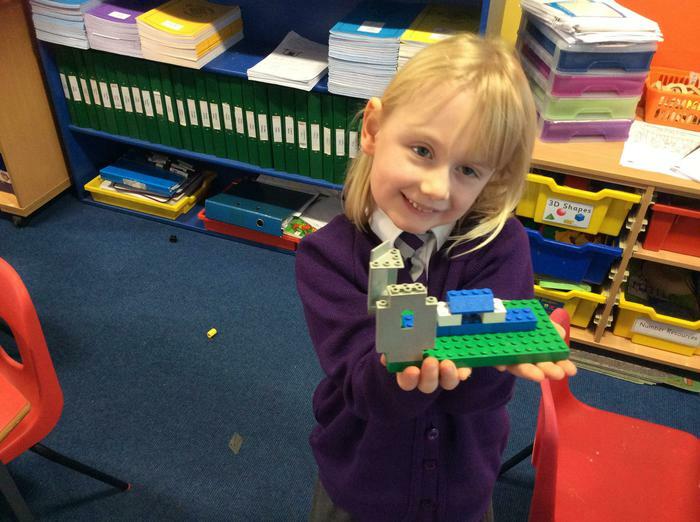 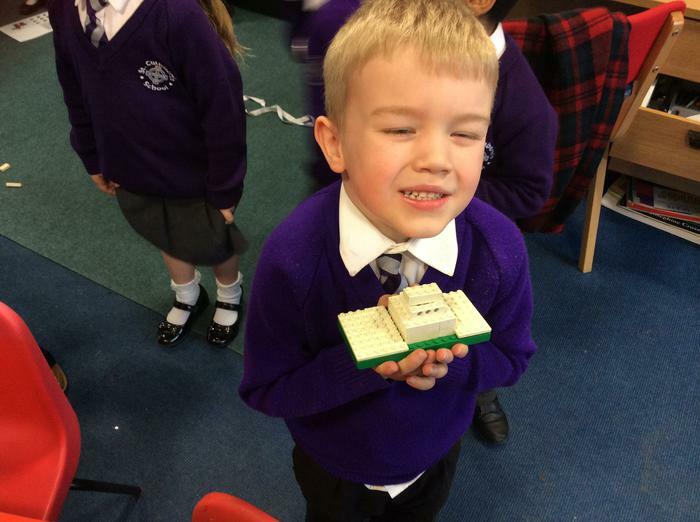 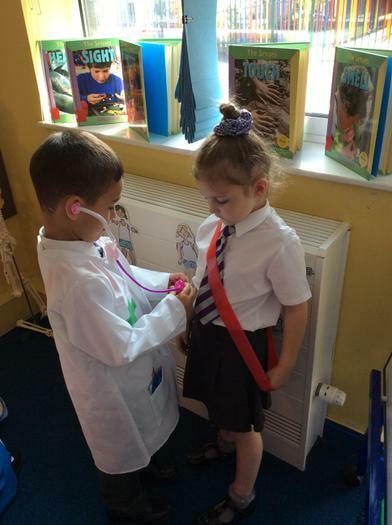 Our first visitor to the Headteacher for fantastic work!